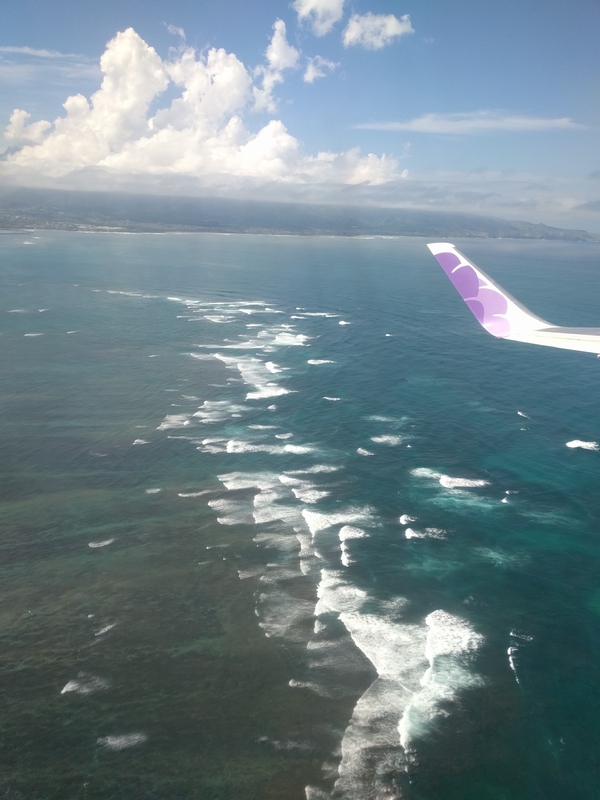 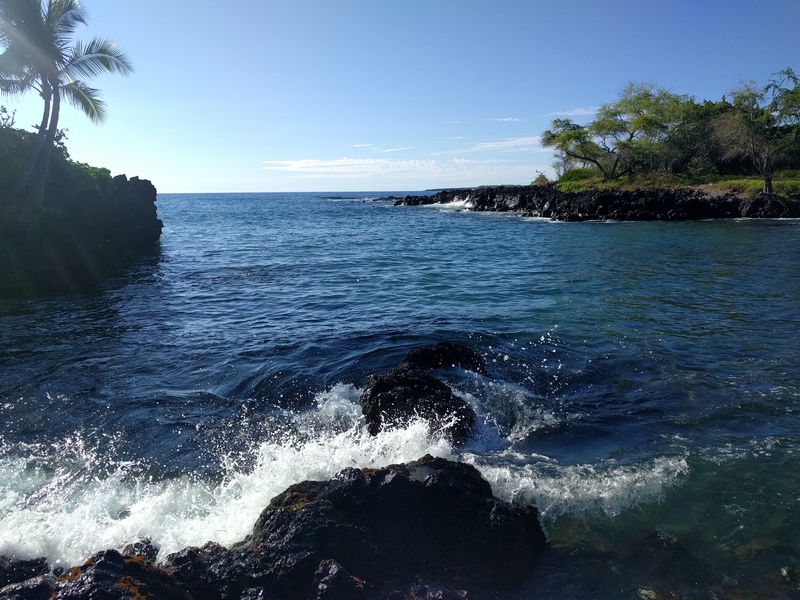 Flights booked, direction the Big Island of Hawaii for four days! 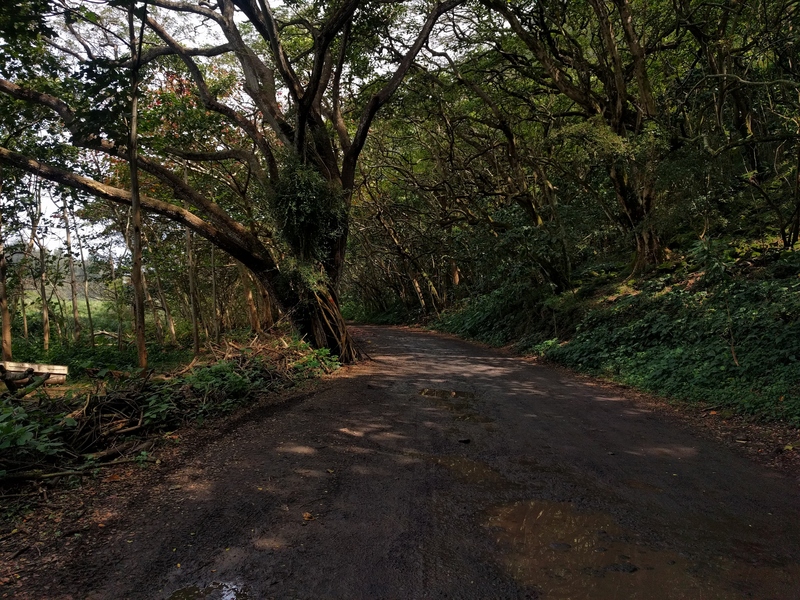 What's better than the sound of the forest at night? 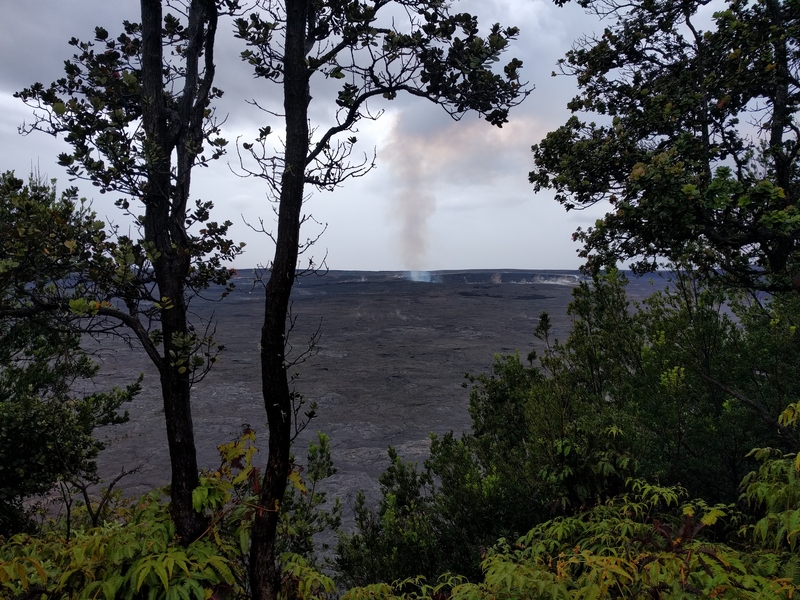 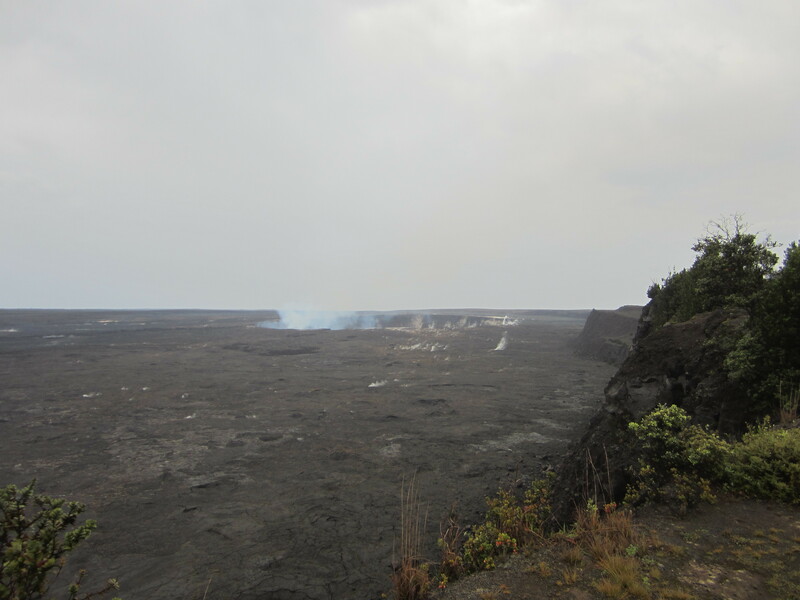 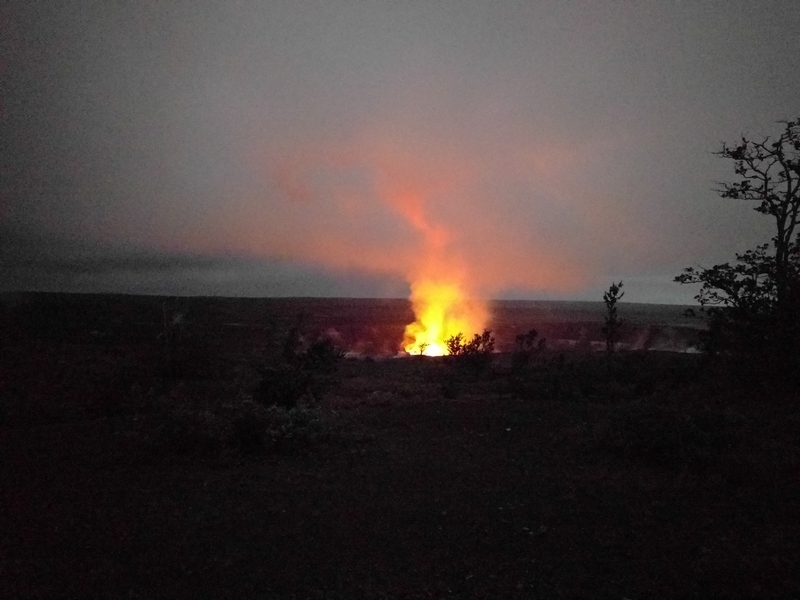 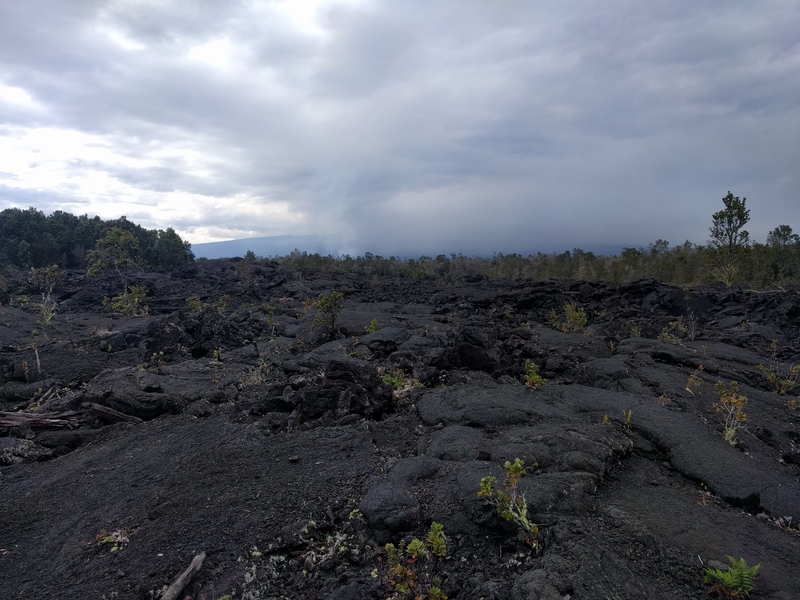 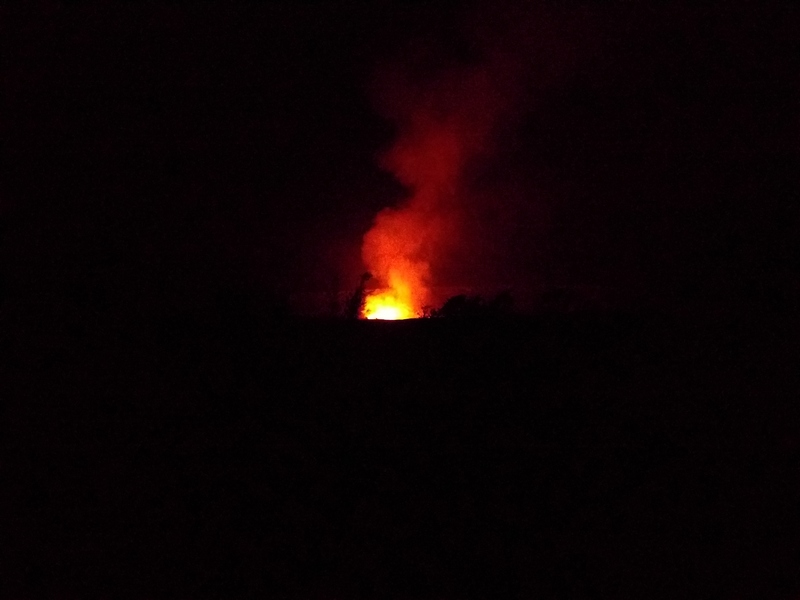 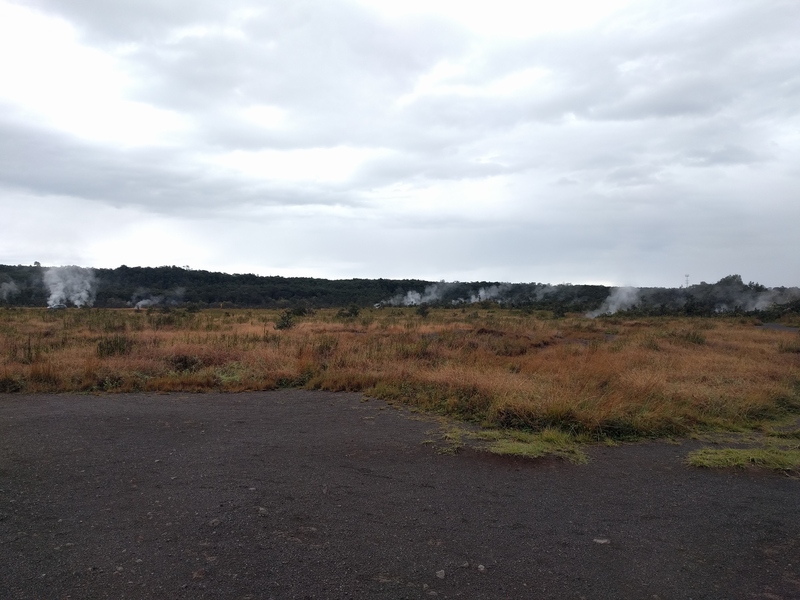 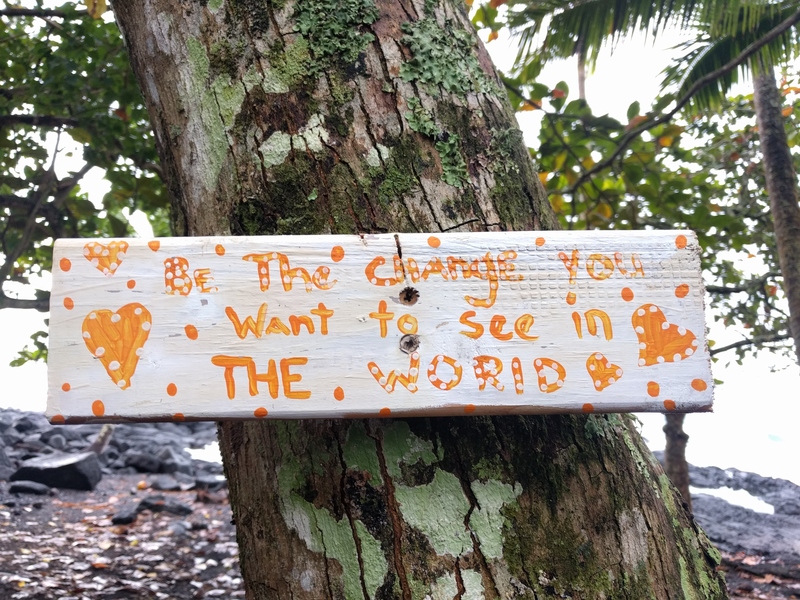 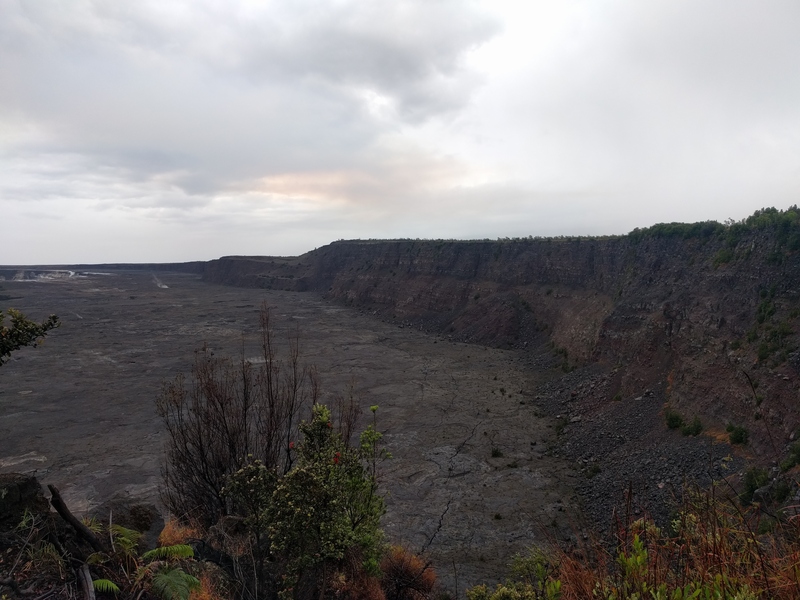 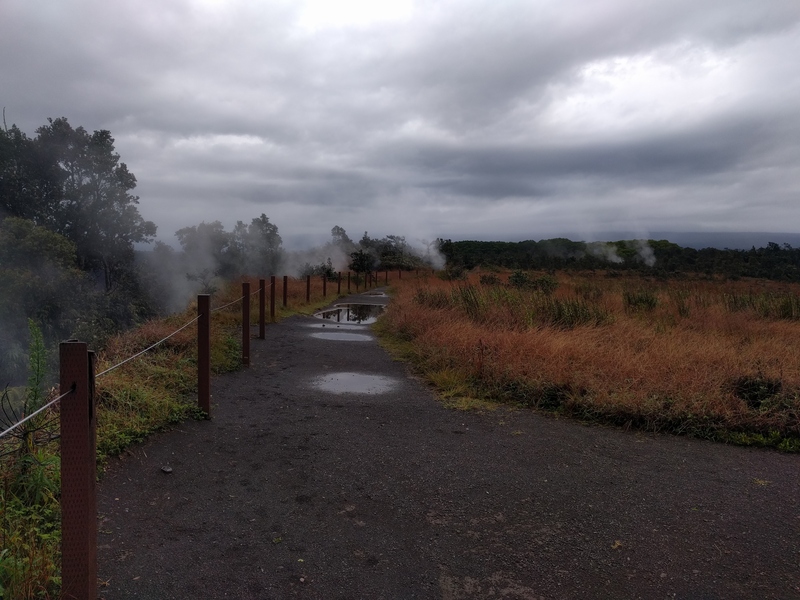 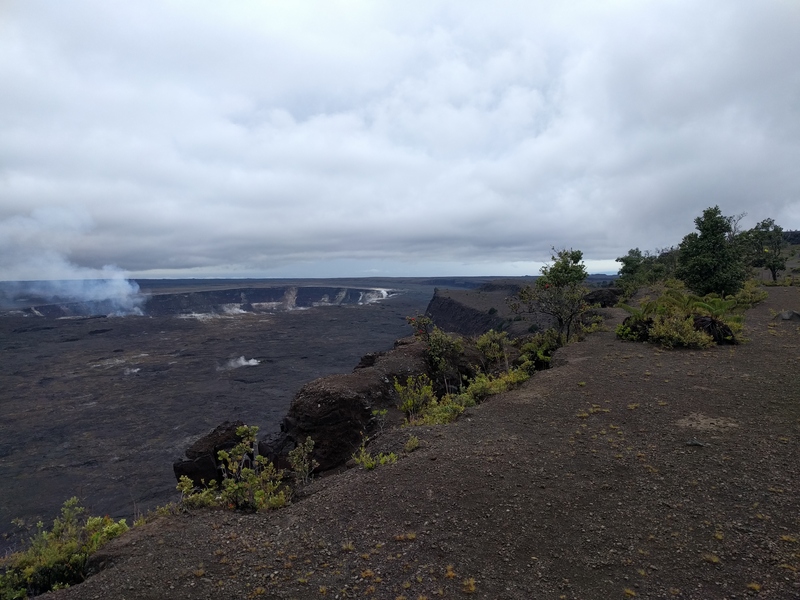 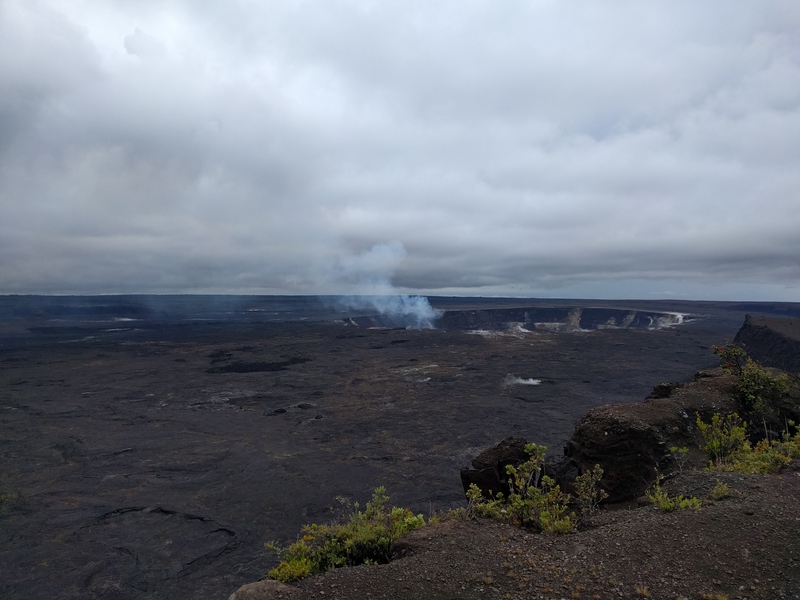 The first day was dedicated of the Volcanoes National Park and especially the Kilauea Caldera and the Halema'uma Crater (the most active crater in the world: it has been in eruption for the last 35 years non-stop). 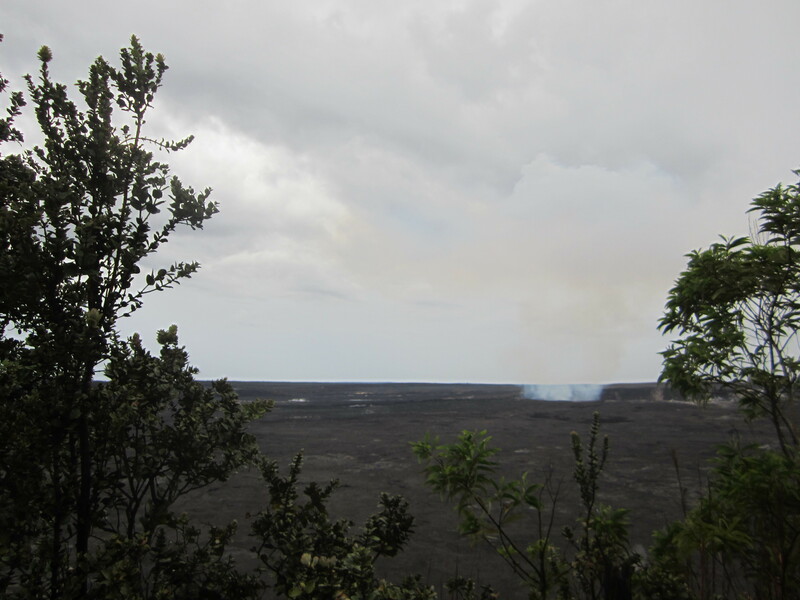 The Rangers provide some guided tours and it's definitively something to check out. 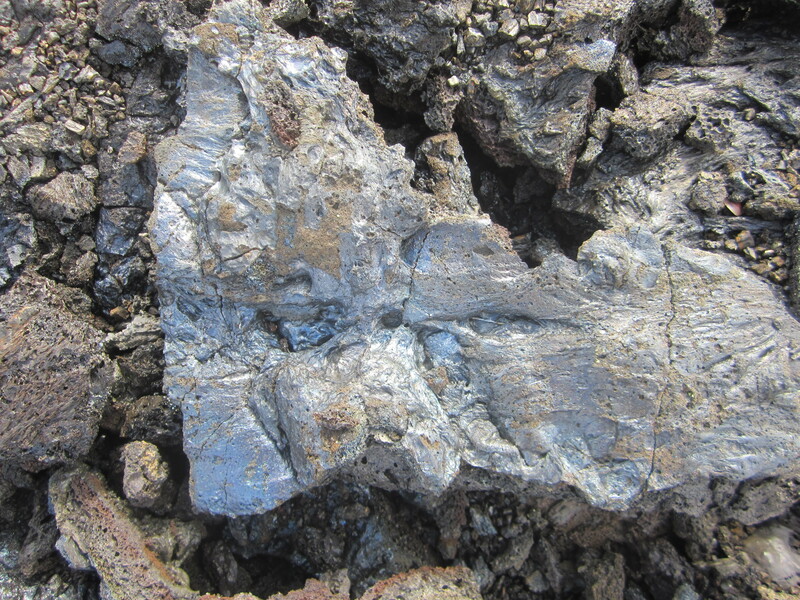 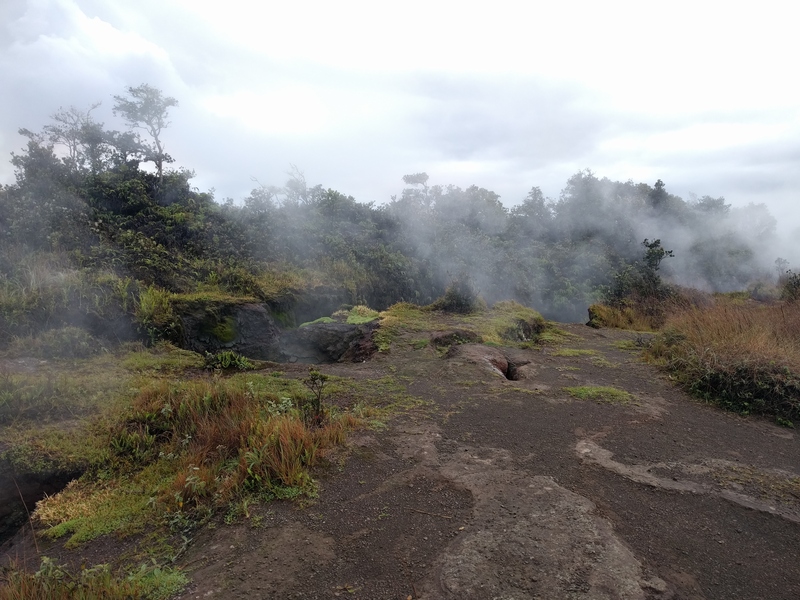 Before reaching the Caldera and the Jaggar Museum, numerous steam vents are visible near the road. 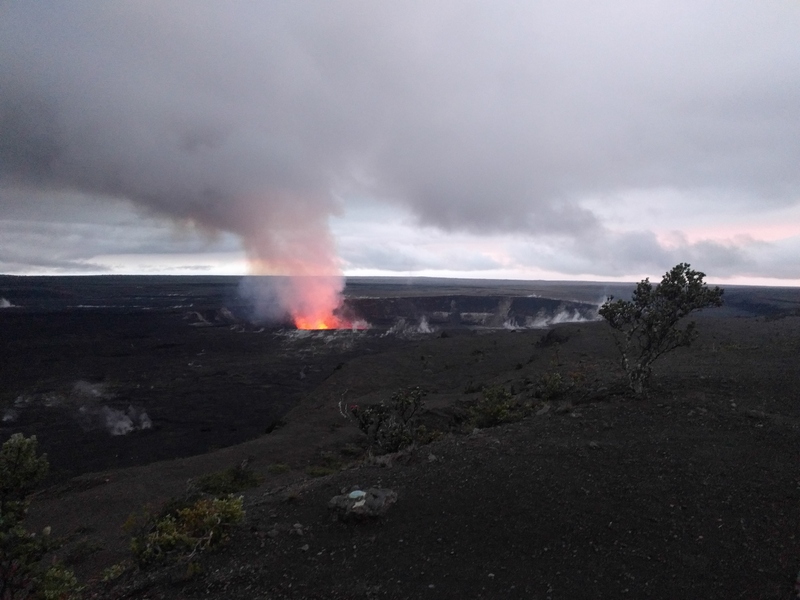 It's impressive to feel their heat! 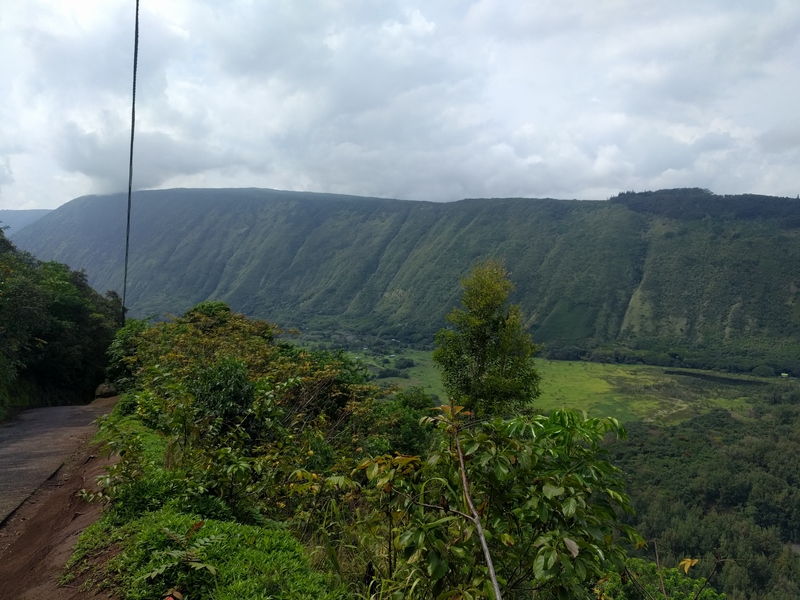 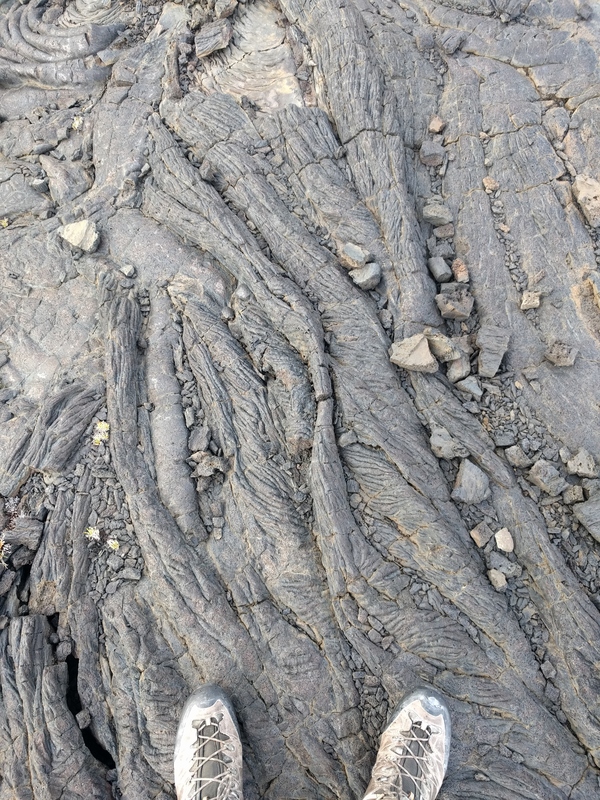 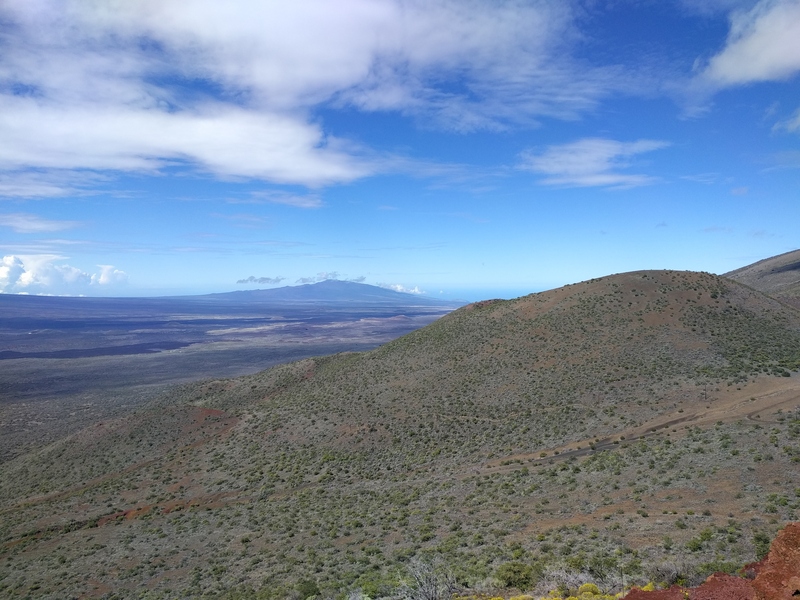 I stopped there, admired the vents and then hiked to the Jaggar Museum - this trail offers great views over the Caldera that are not visible from the road. 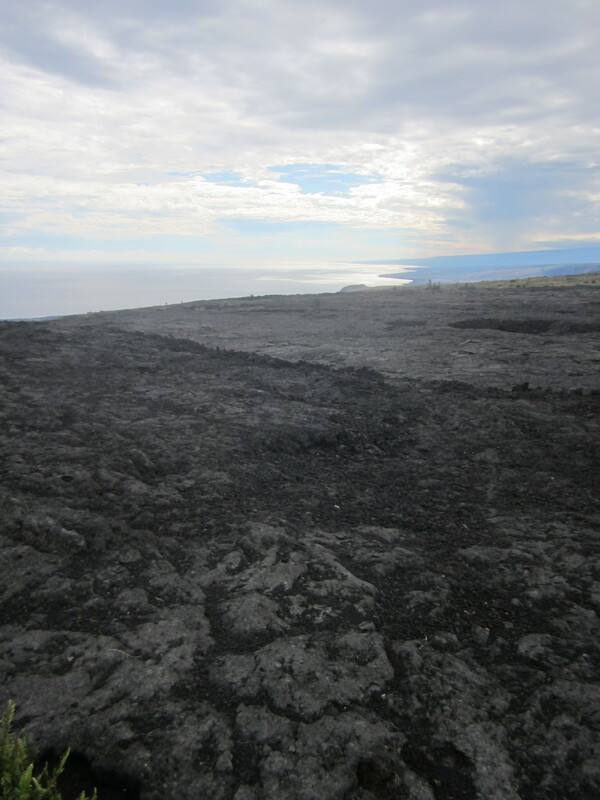 Then, direction the Chain of Craters road accross several lava flows and old craters. 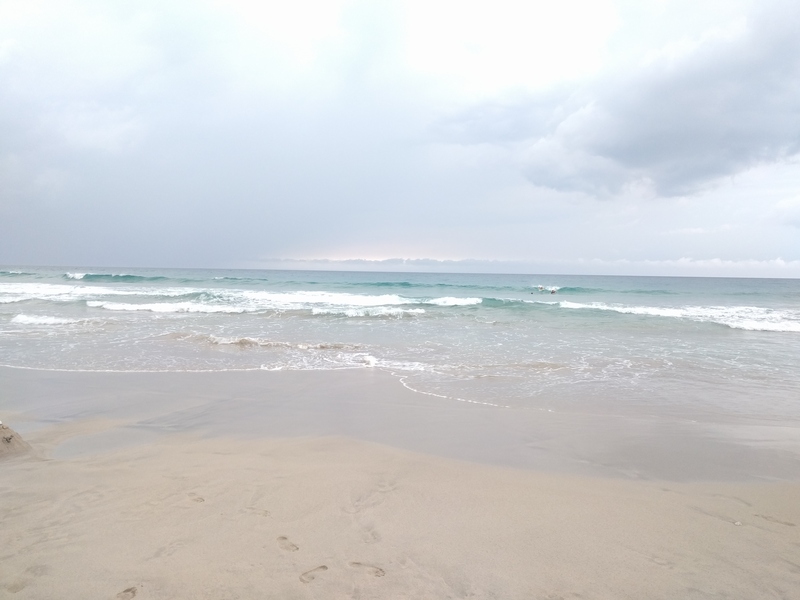 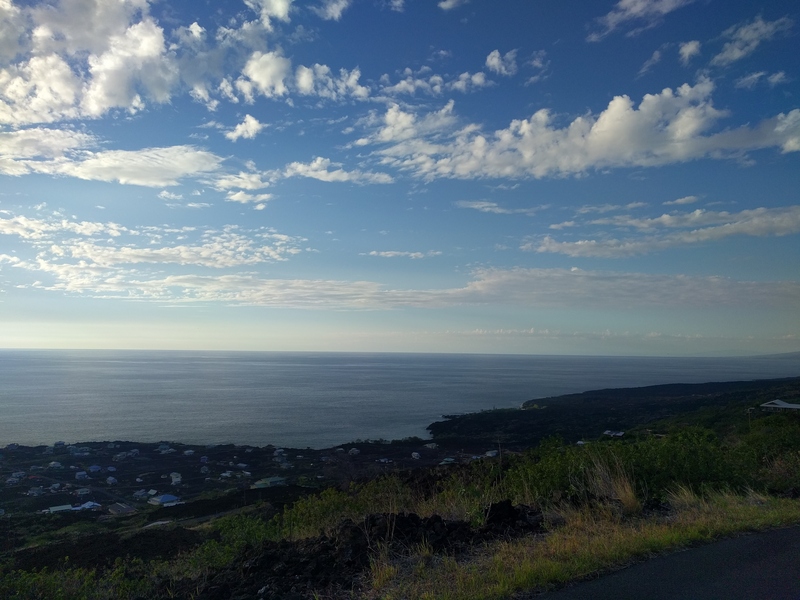 It also offers a amazing view on the ocean. 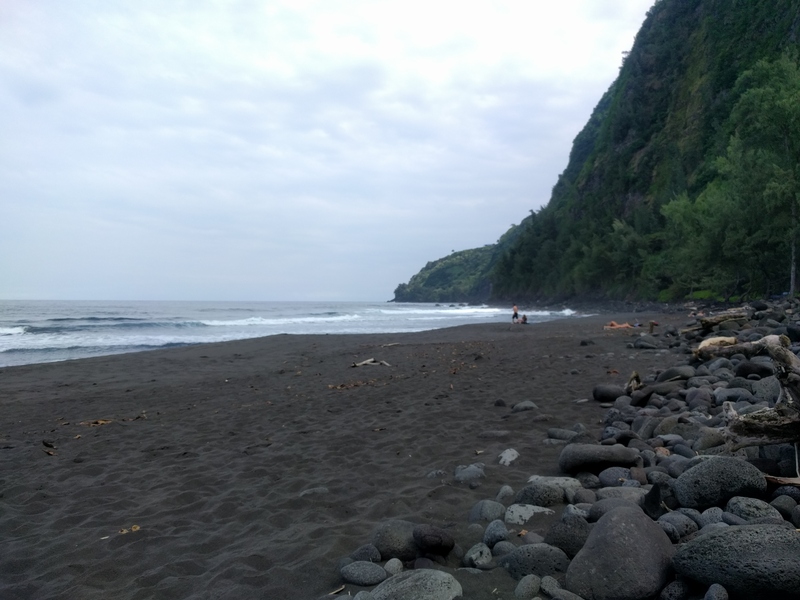 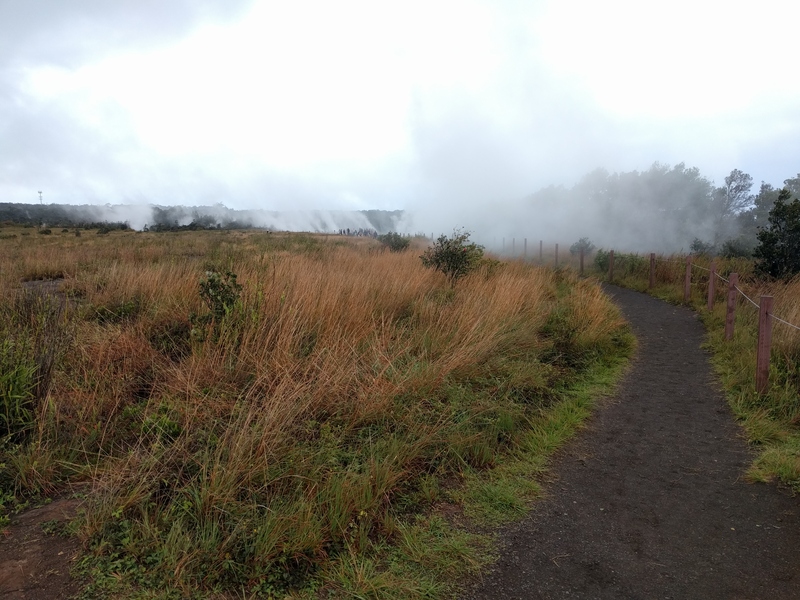 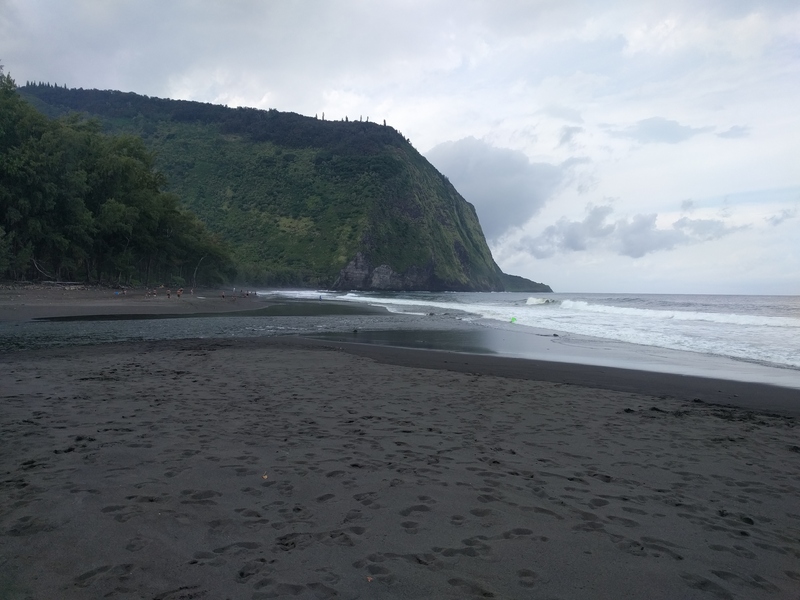 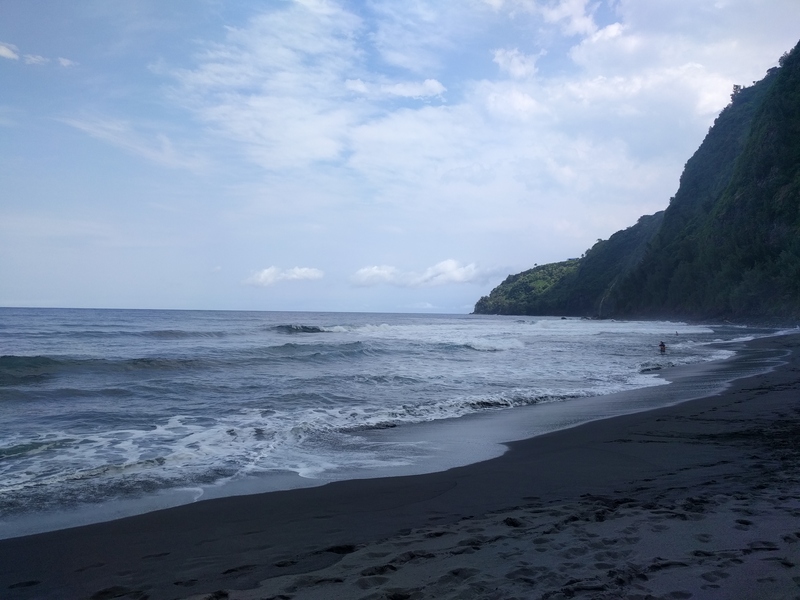 Now time to head back to the Caldera to not only stargaze, but also admire the volcano at night. 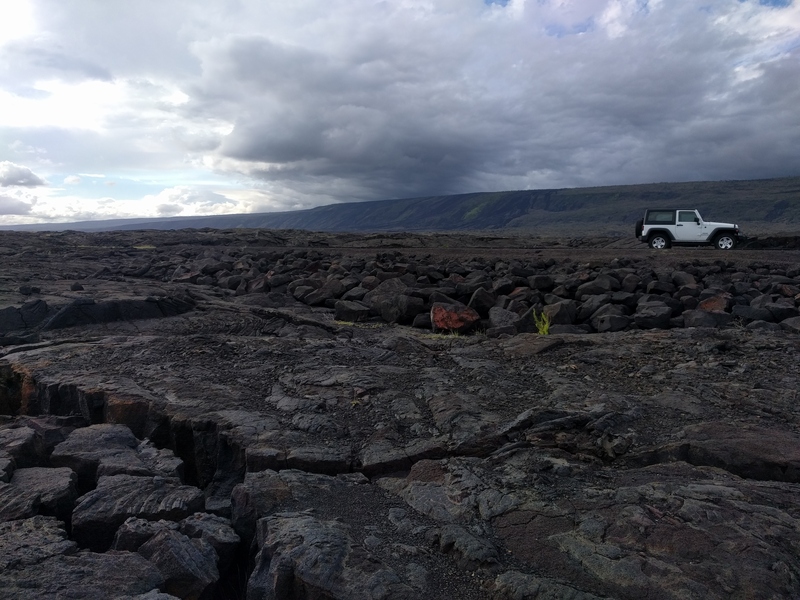 This was an amazing experience! 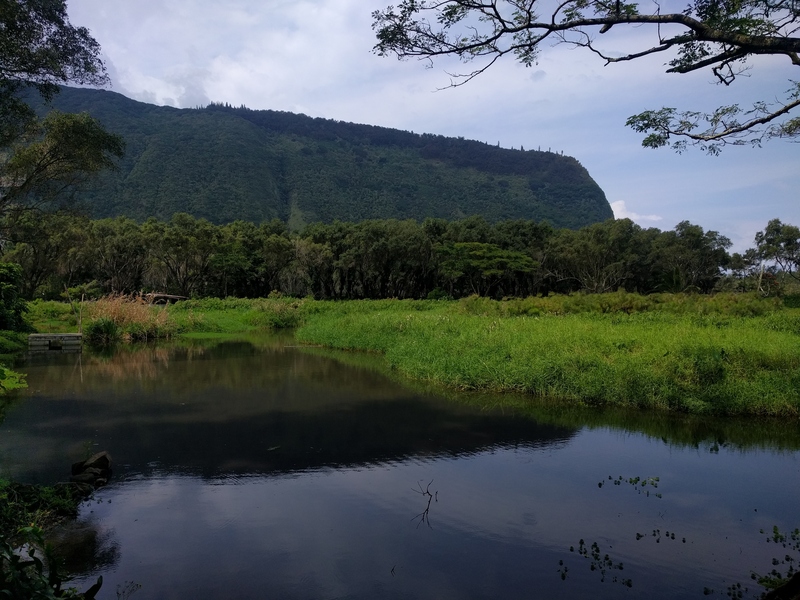 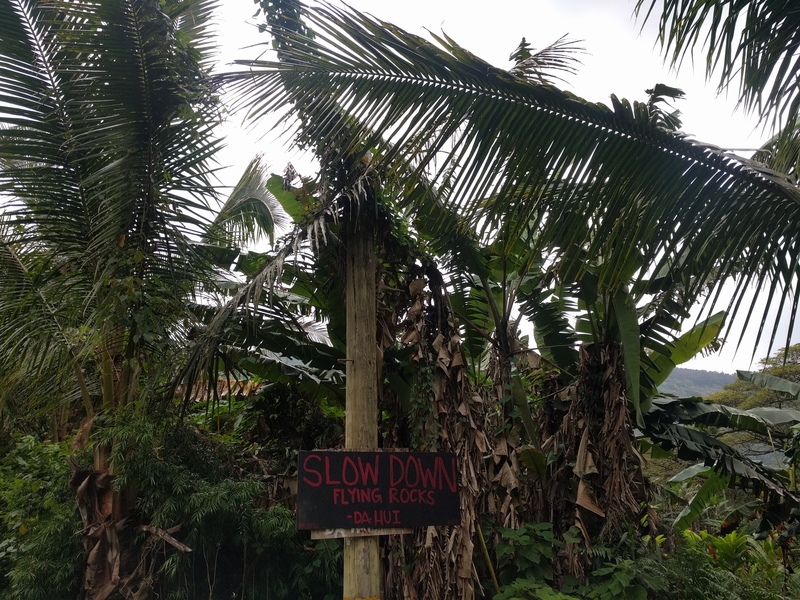 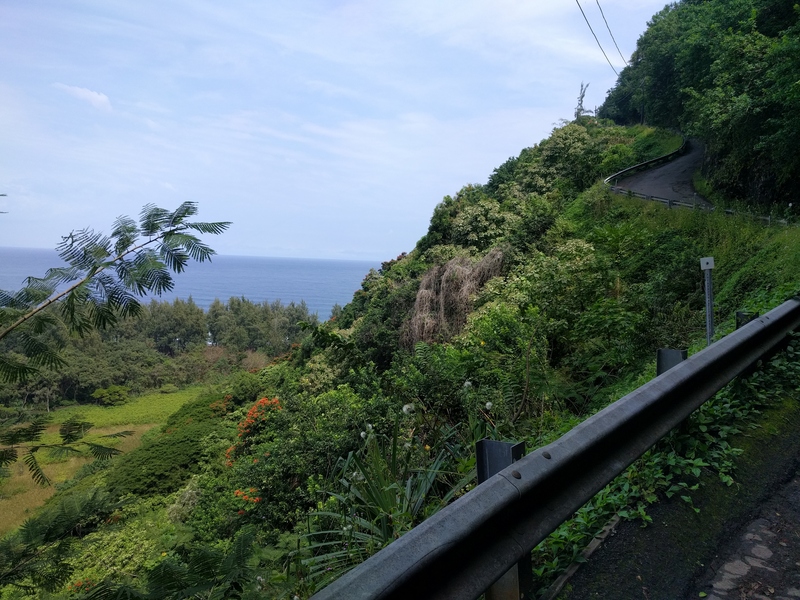 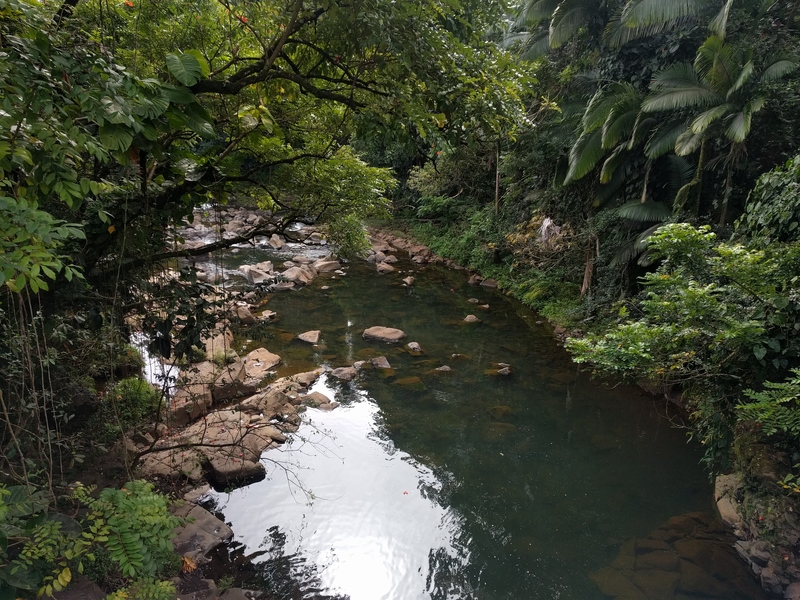 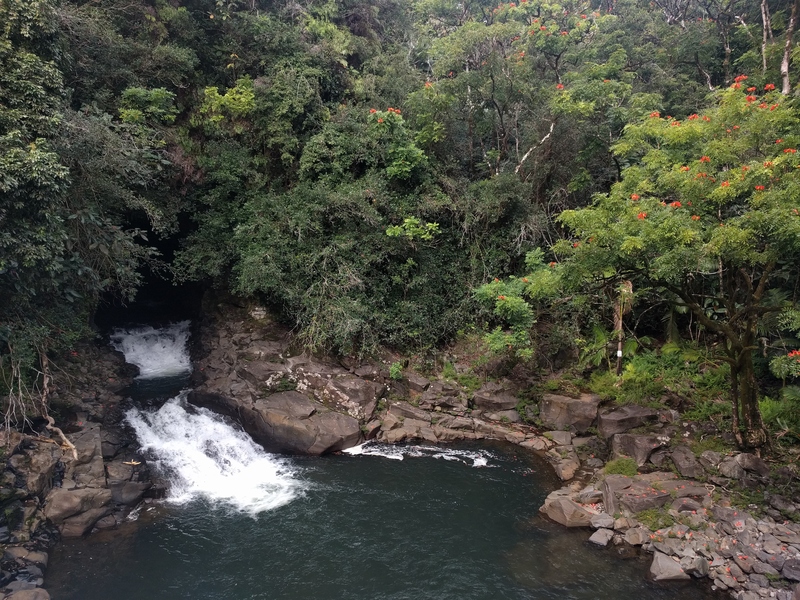 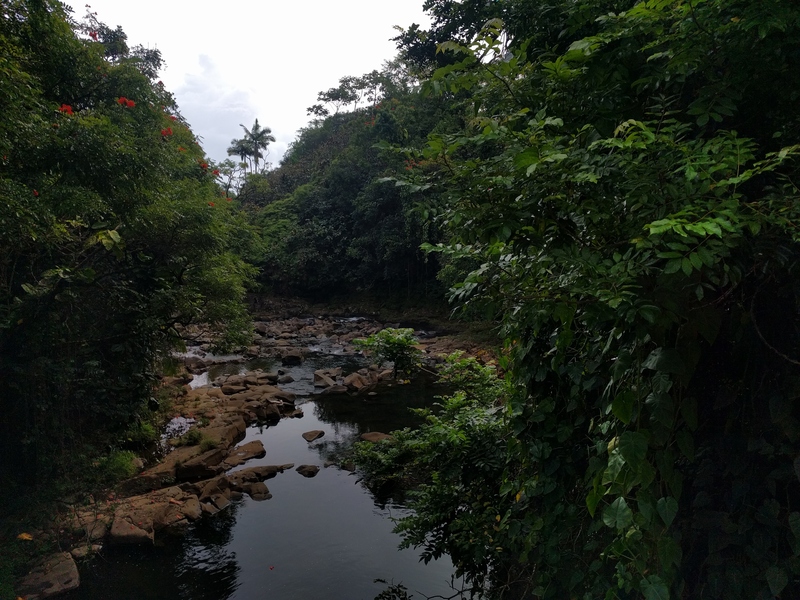 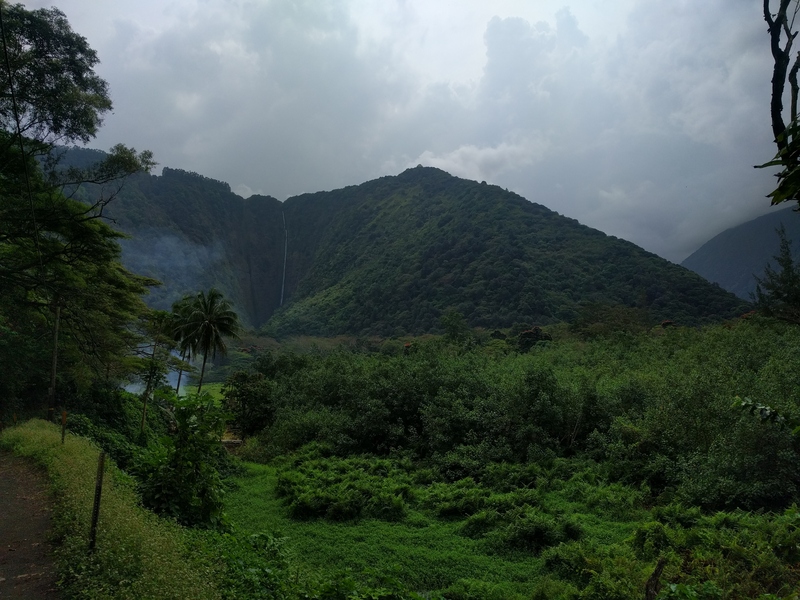 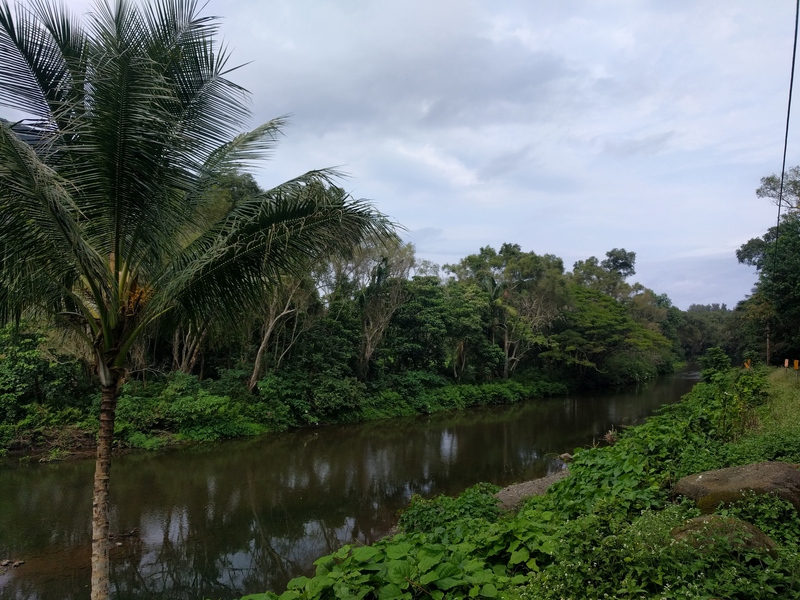 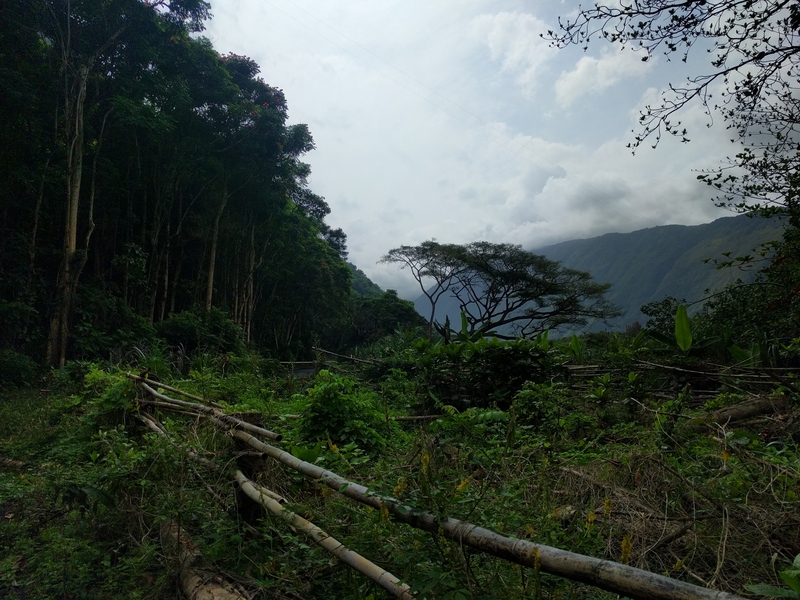 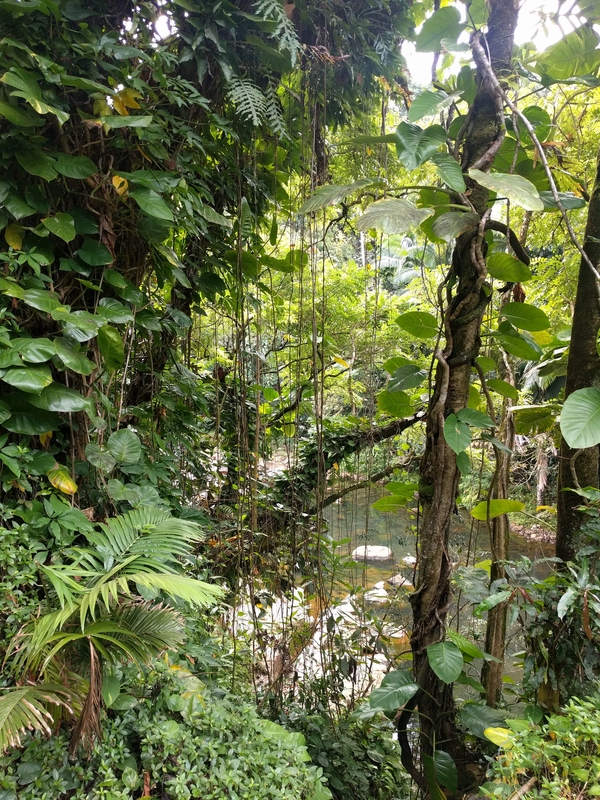 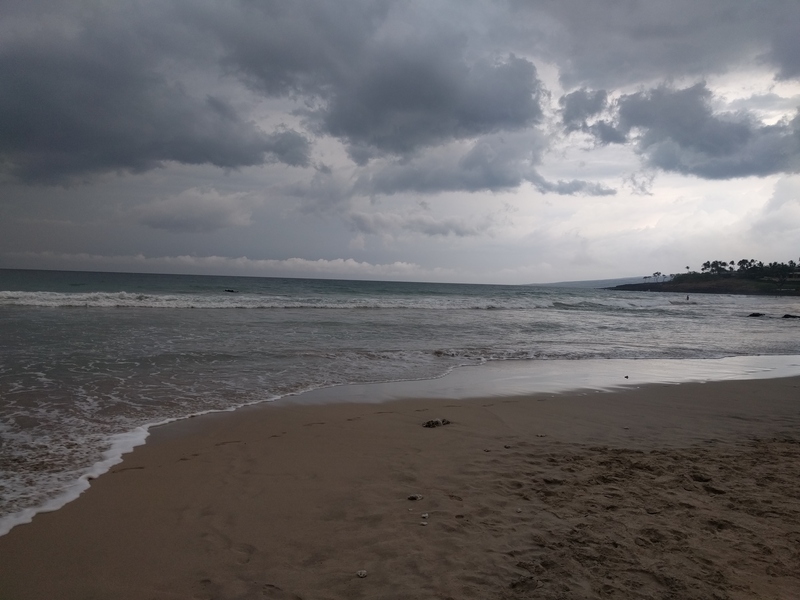 I took some time to explore the east and north sections of the island, and especially the coast and the Valley of the Kings. 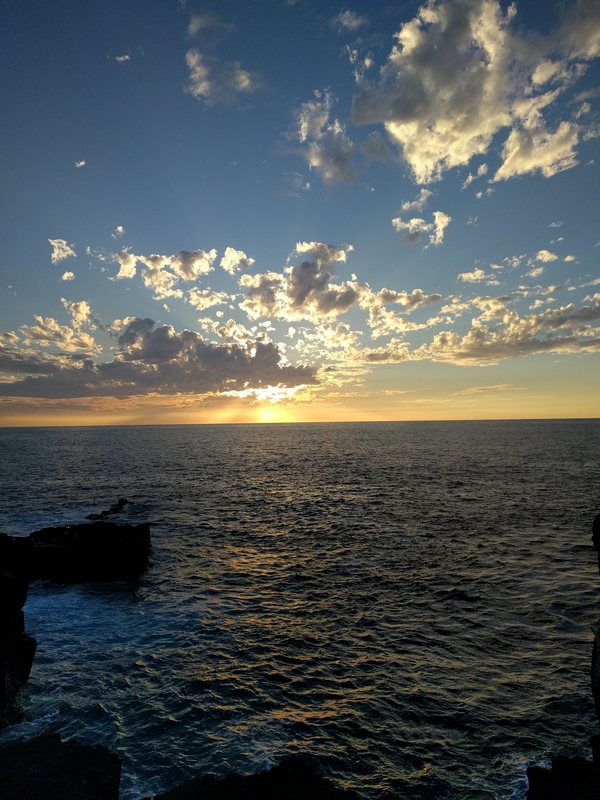 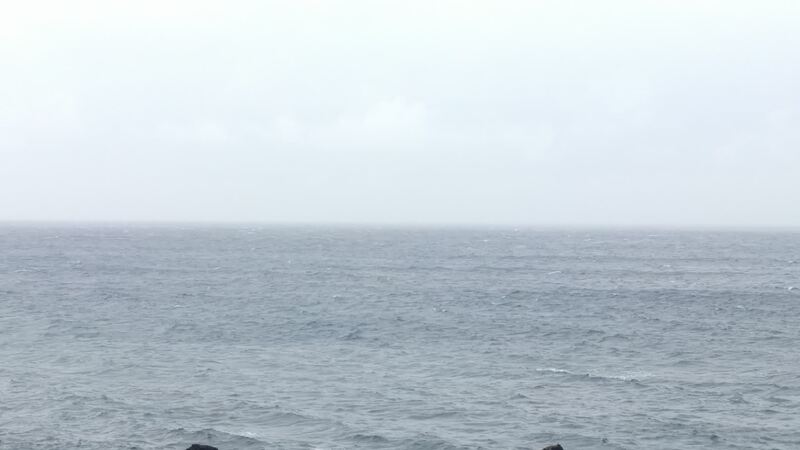 While stopping near a small bay on the north west, a few whales were swimming just there. 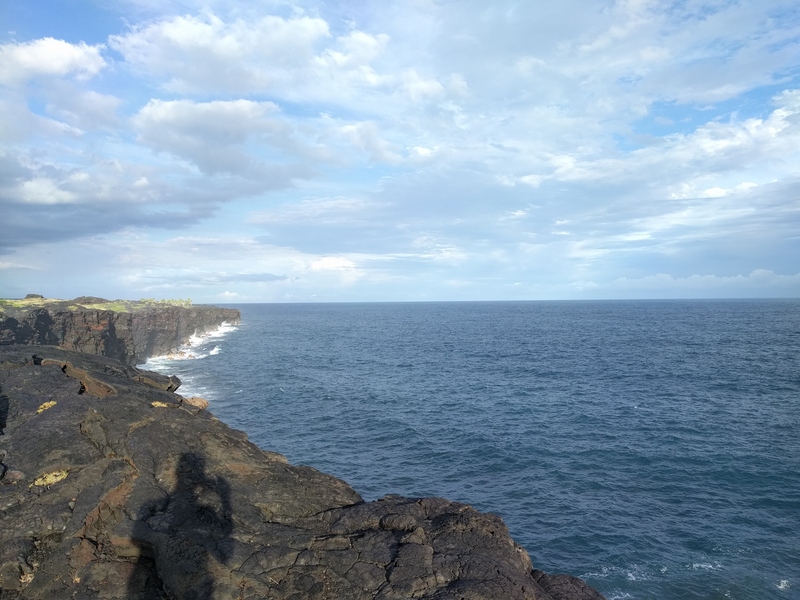 It was majestic. 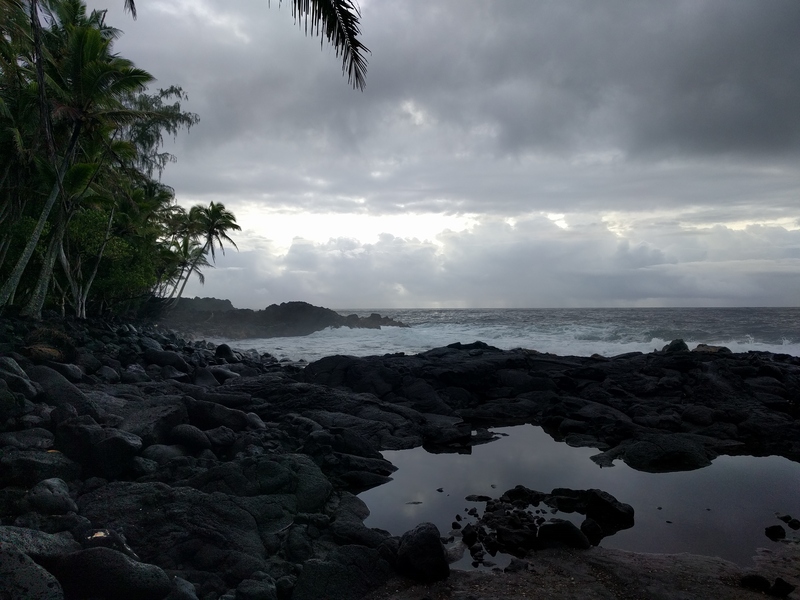 Unfortunately, this day was marked by an extreme storm and flash floods. 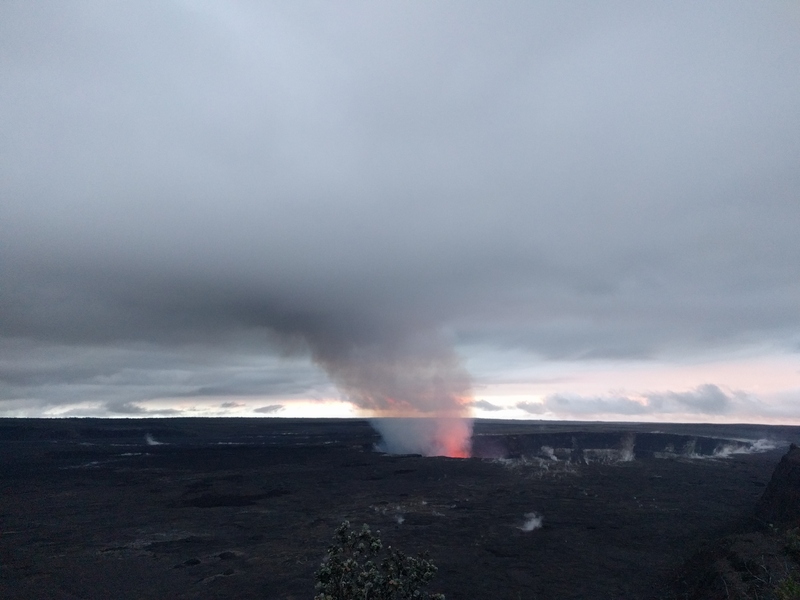 Authorities advised everyone to stay inside and avoid driving. 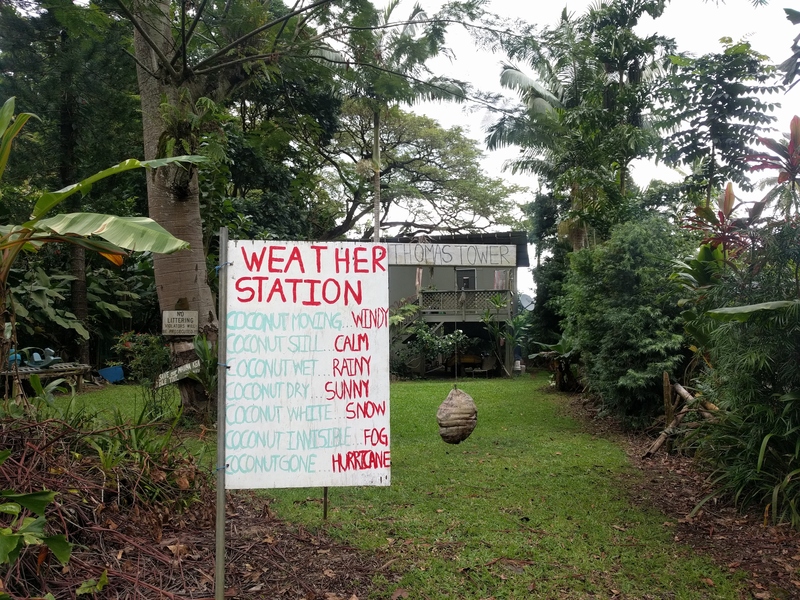 Broadcast alerts were also sent through the radio stations and the cellular network (which was impressive given the false nuclear alert a few weeks ago... 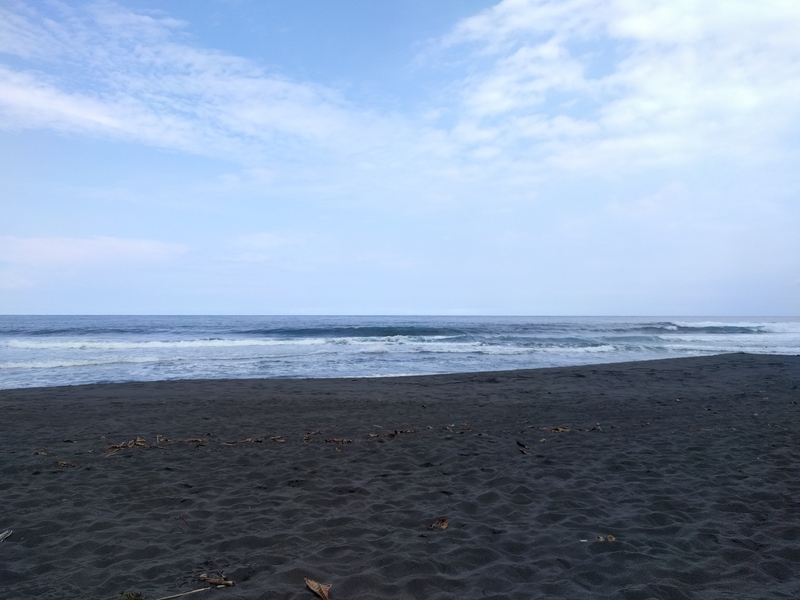 It helps to understand the anxious reactions at that time). 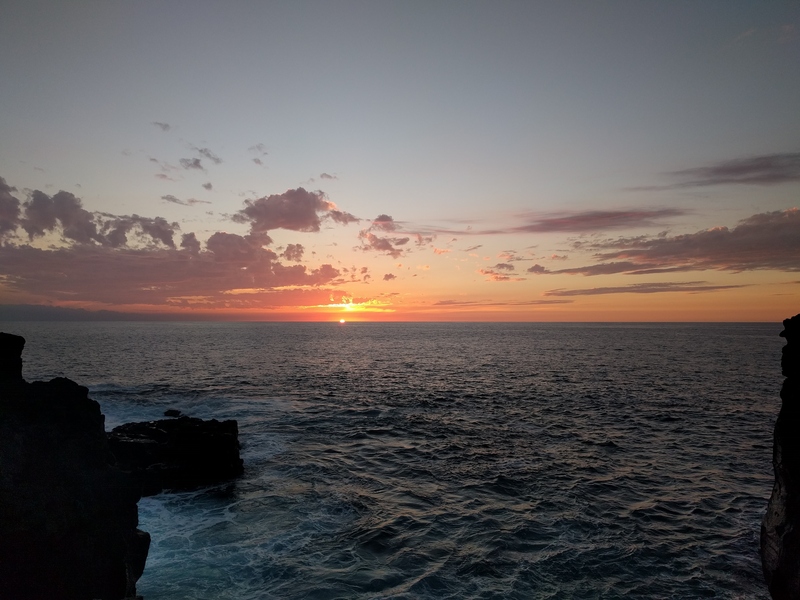 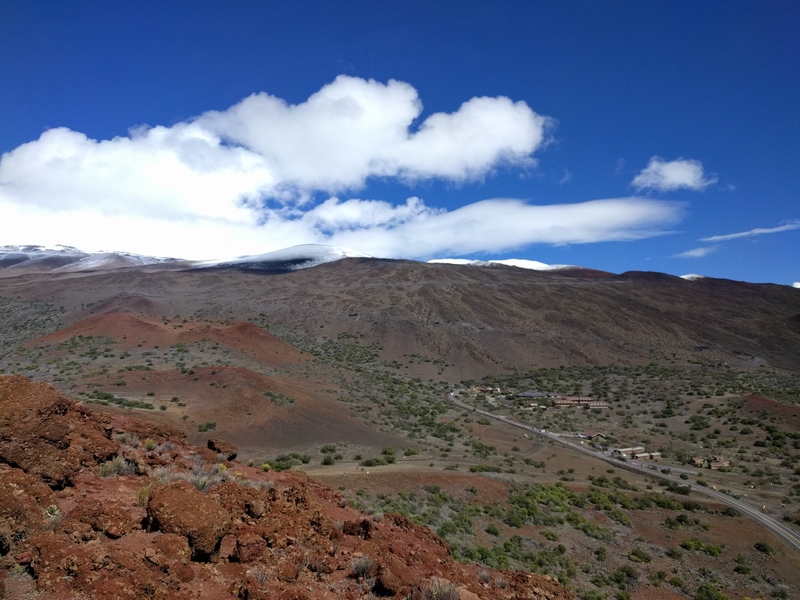 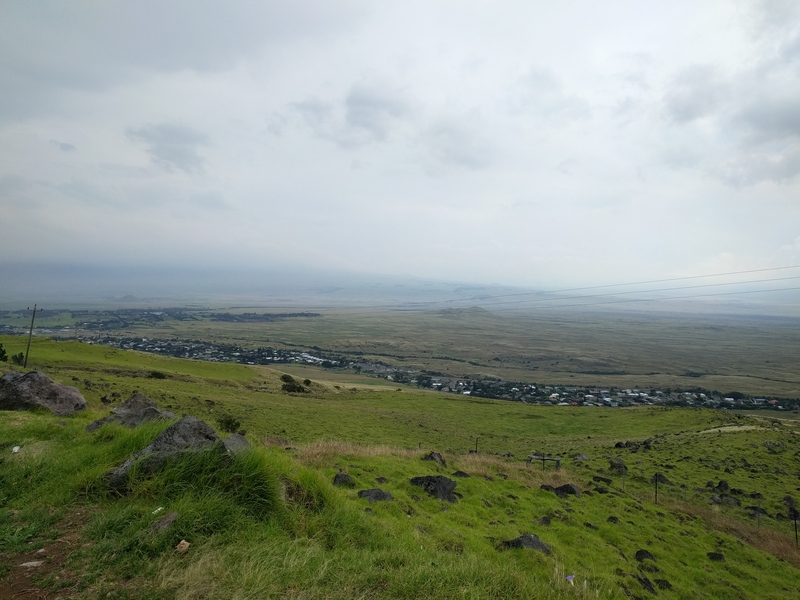 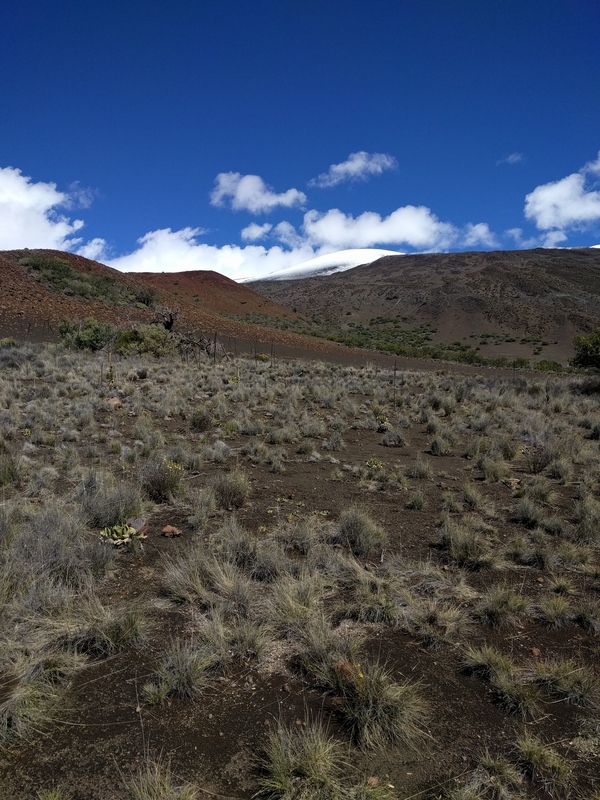 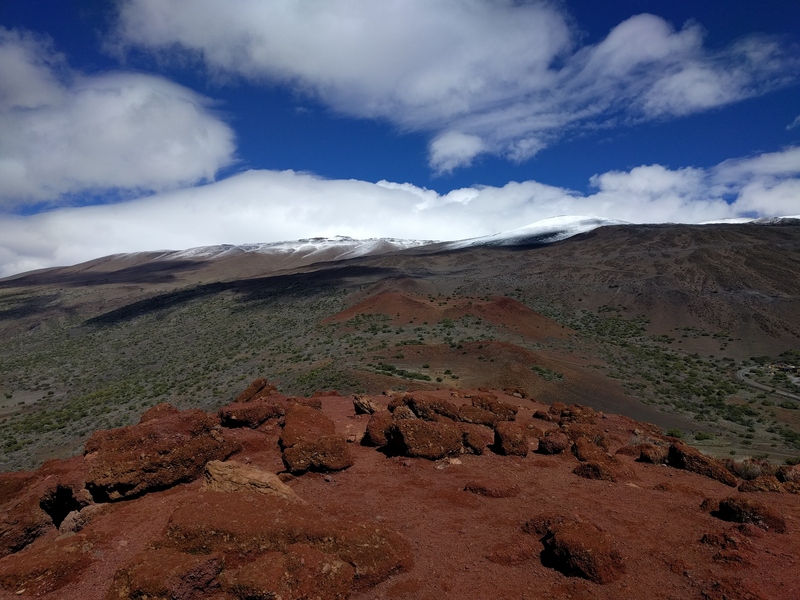 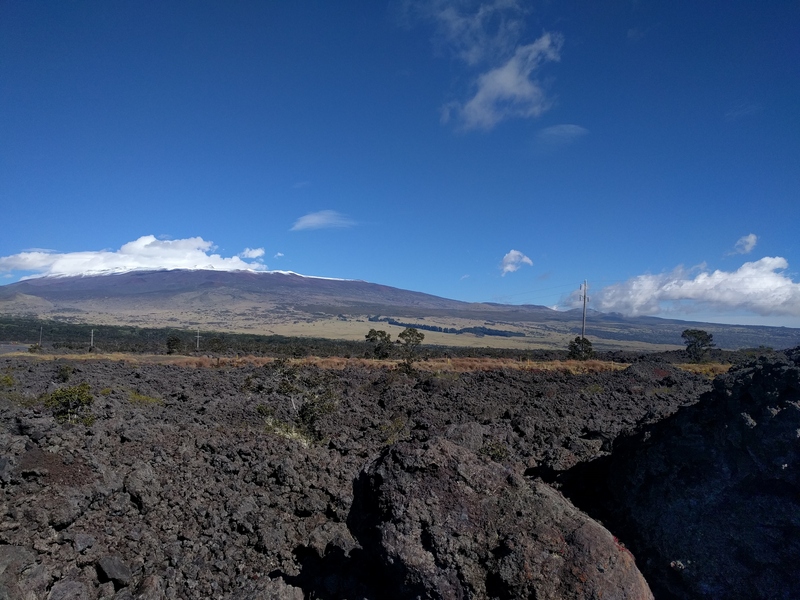 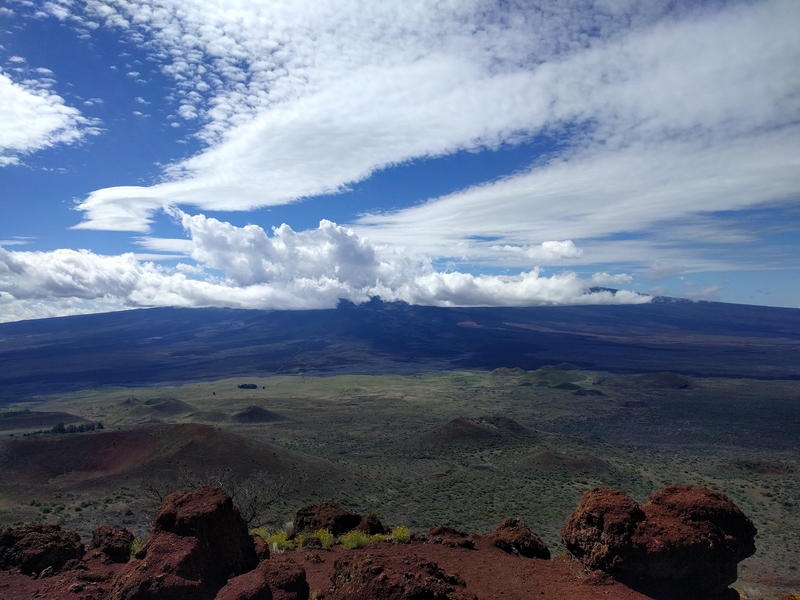 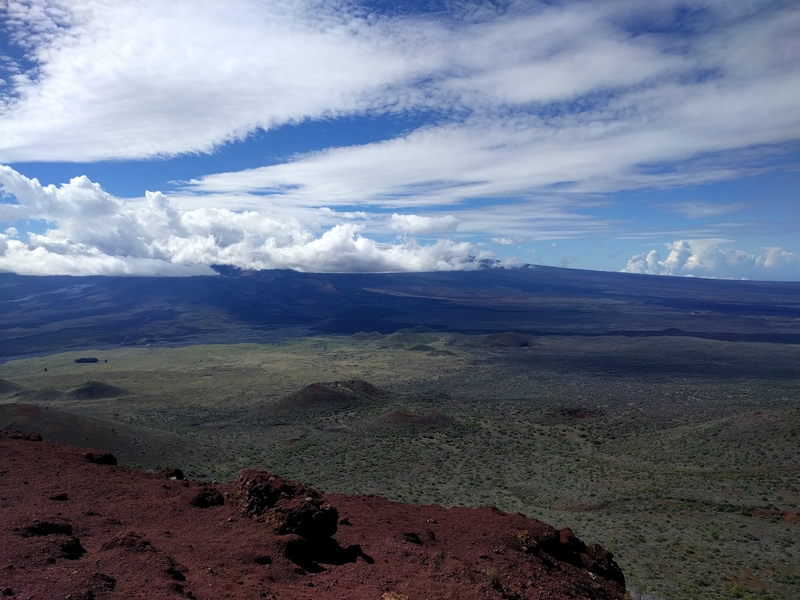 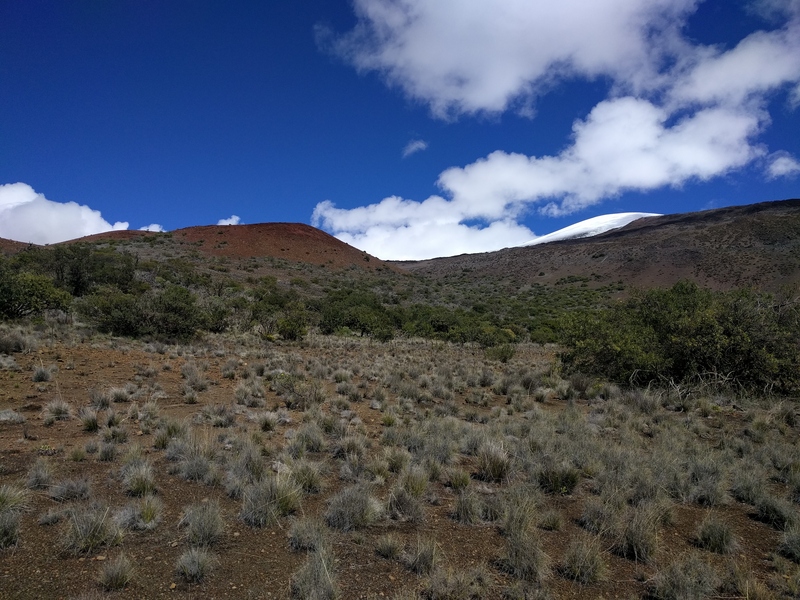 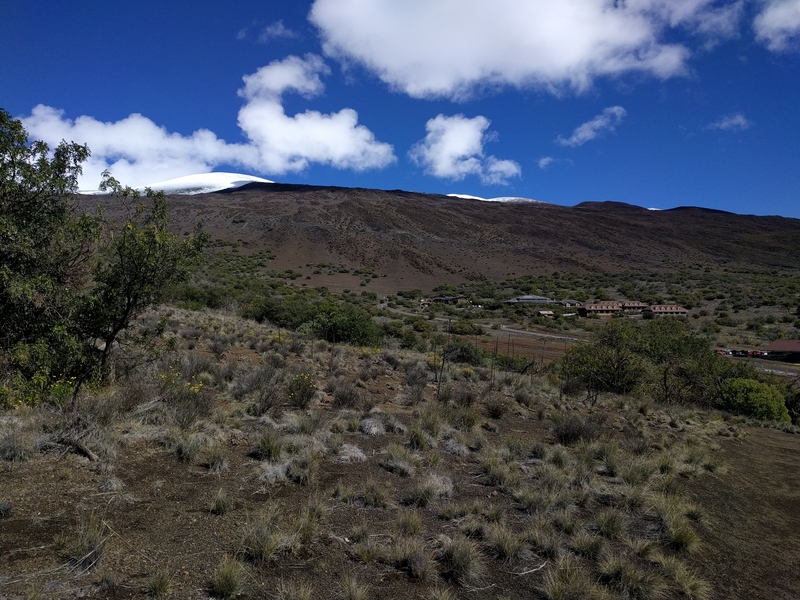 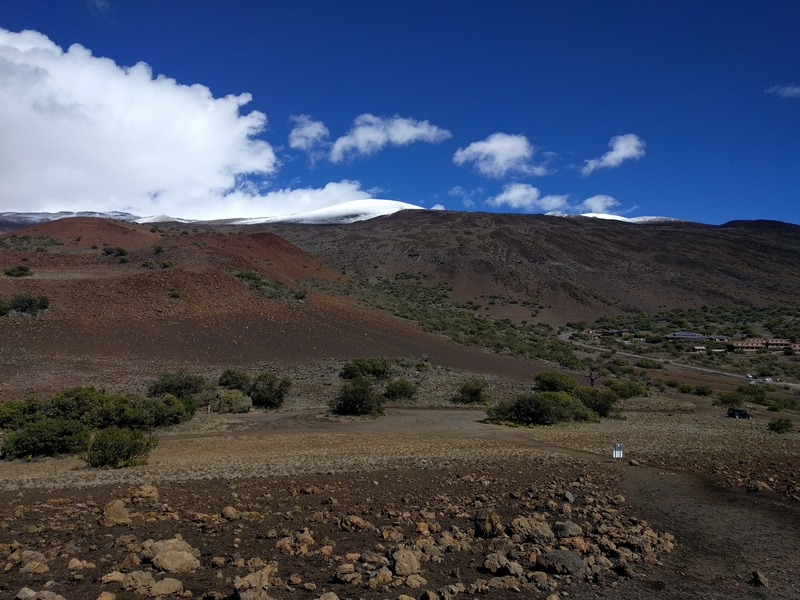 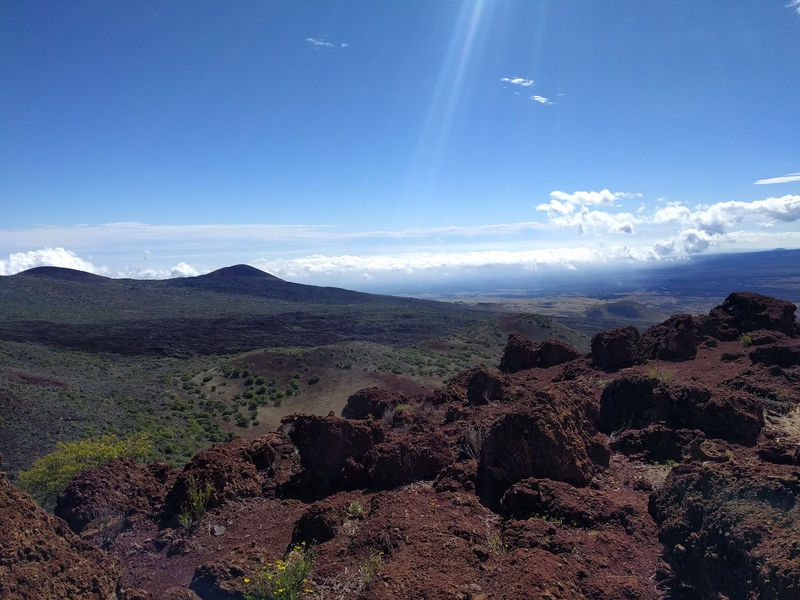 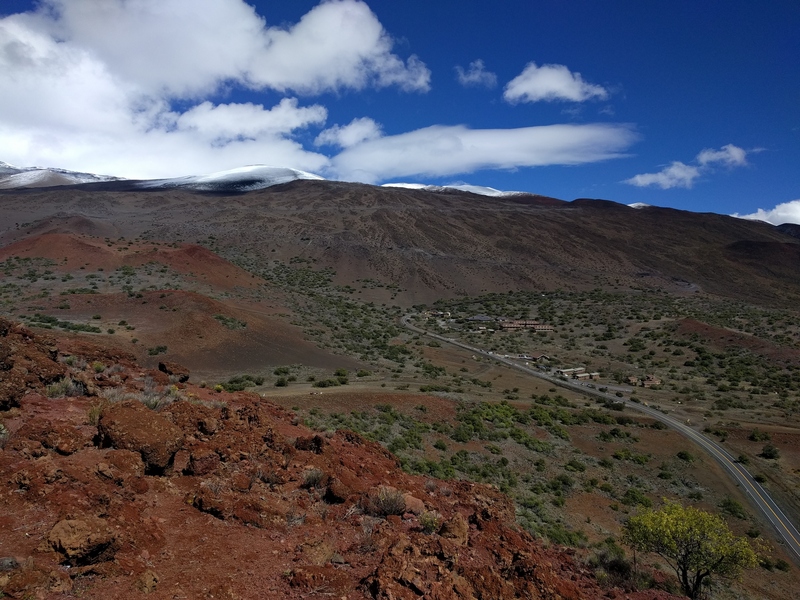 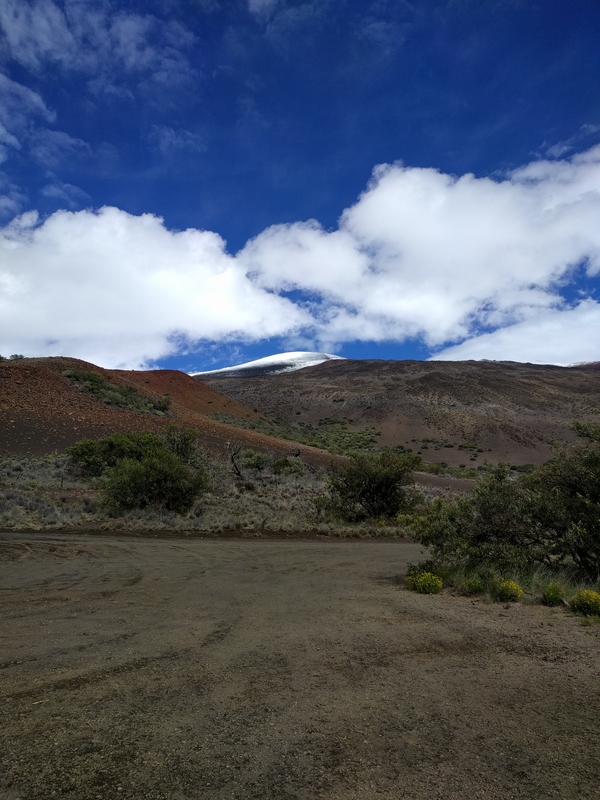 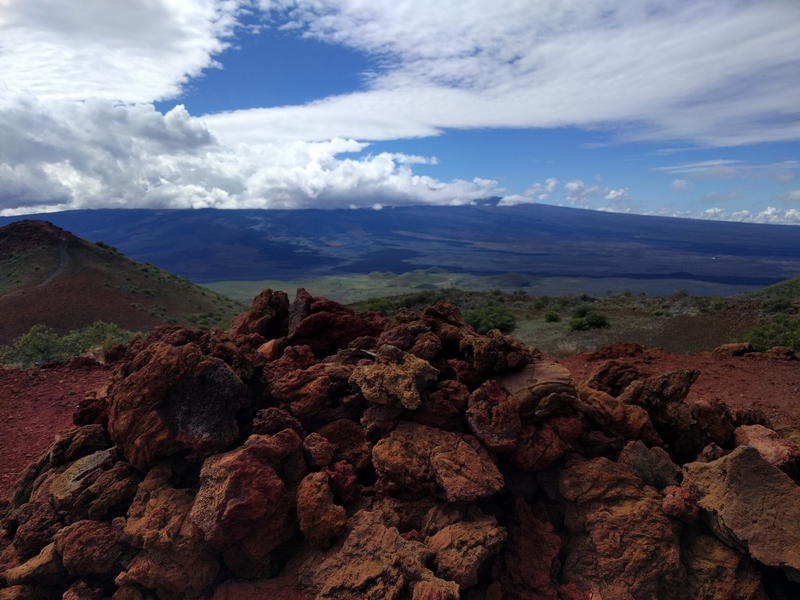 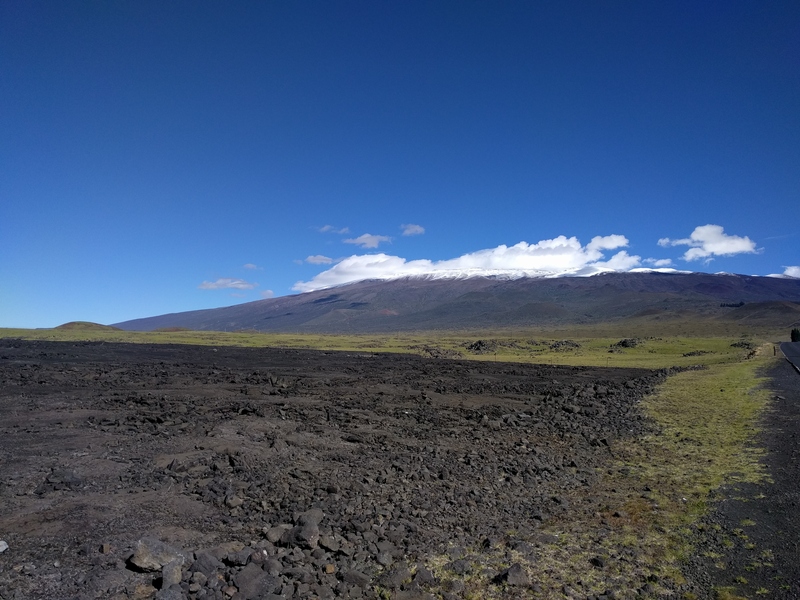 I really wanted to go to the very top of the world highest mountain, the Mauna Kea and its 4207m above the sea and around 9000m from its undersea base. 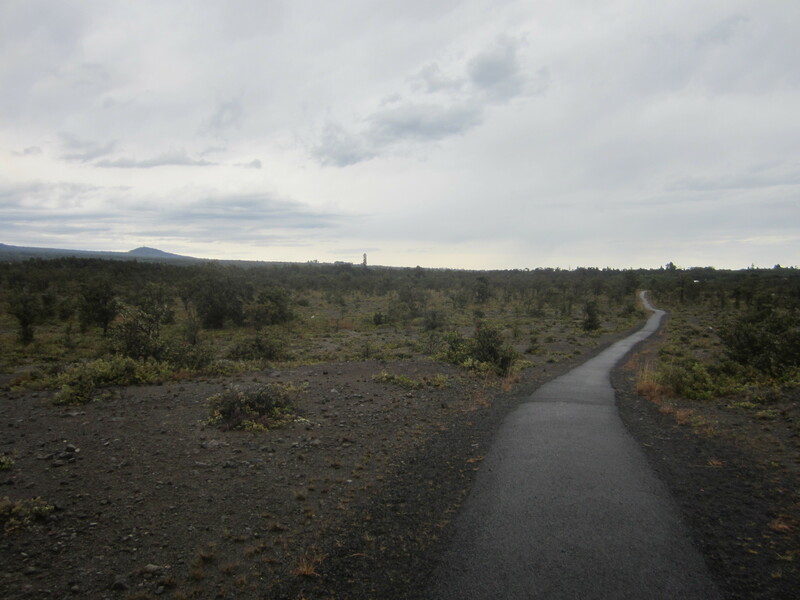 However, due to the extreme weather the day before the trail was icy and not open from the visitor center. 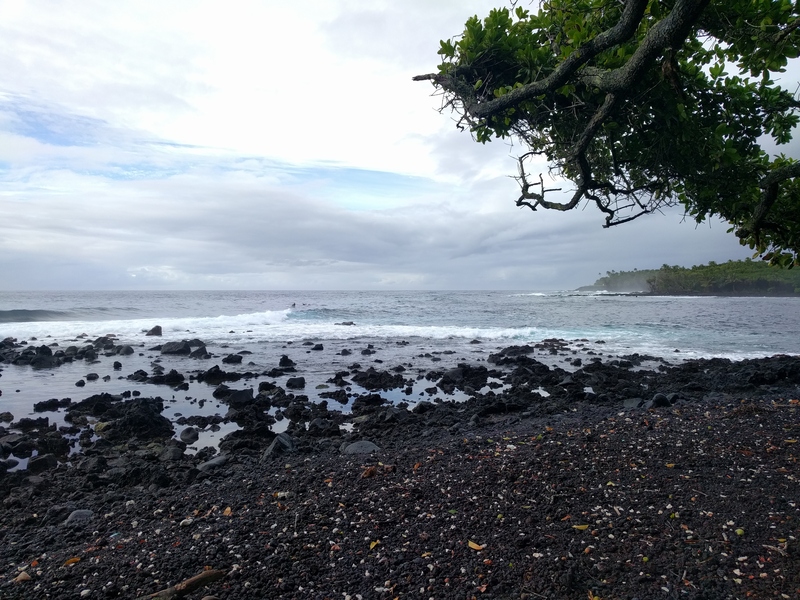 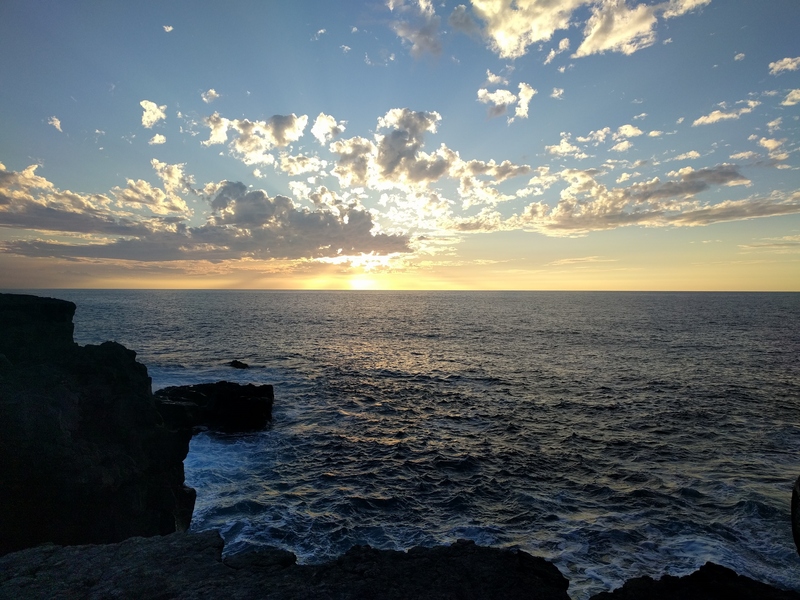 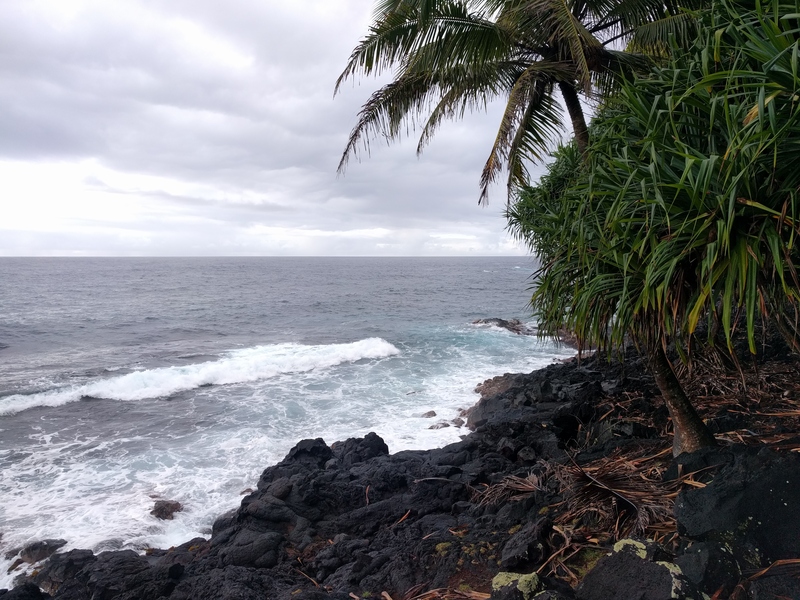 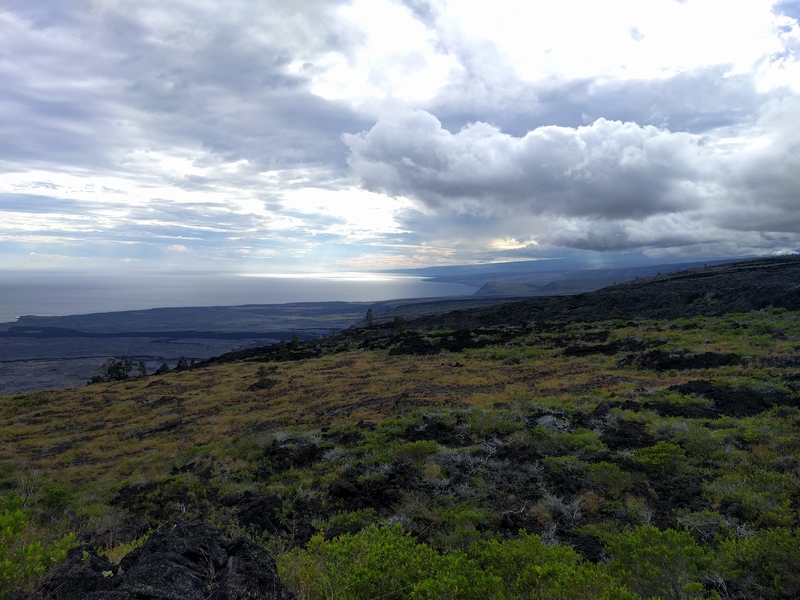 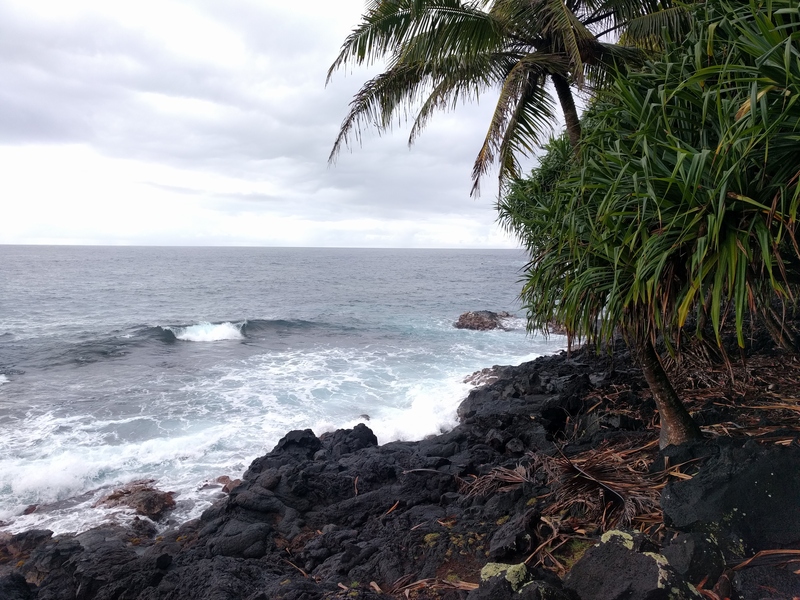 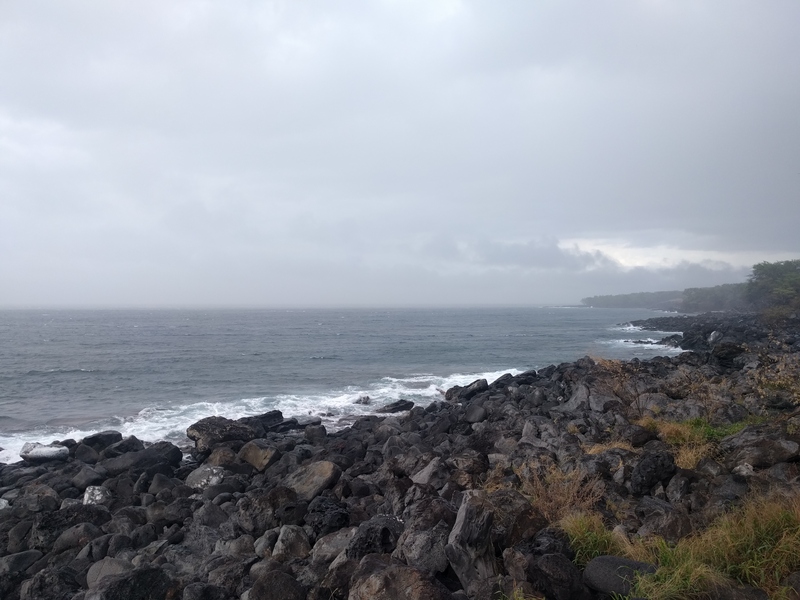 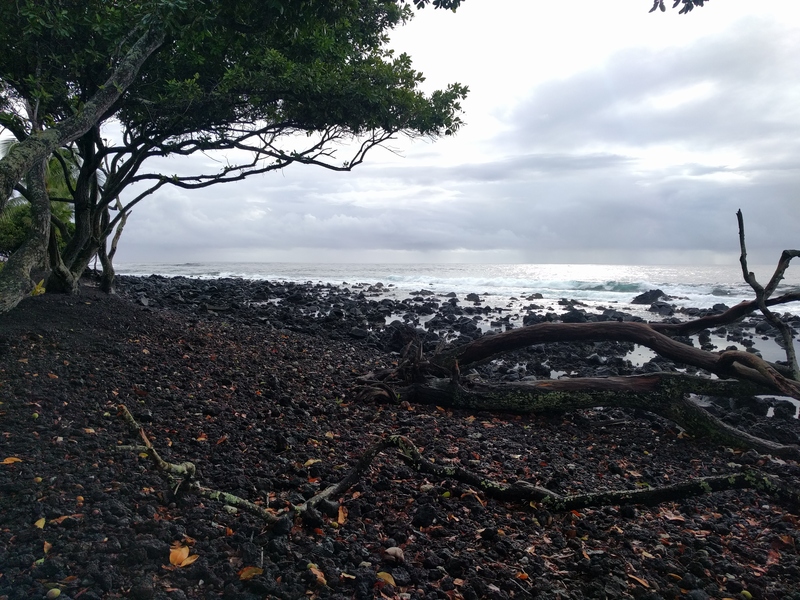 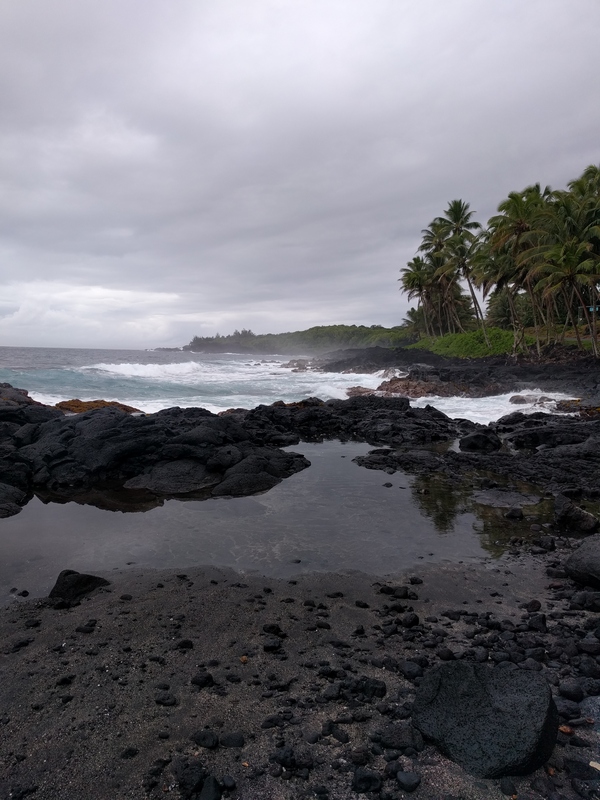 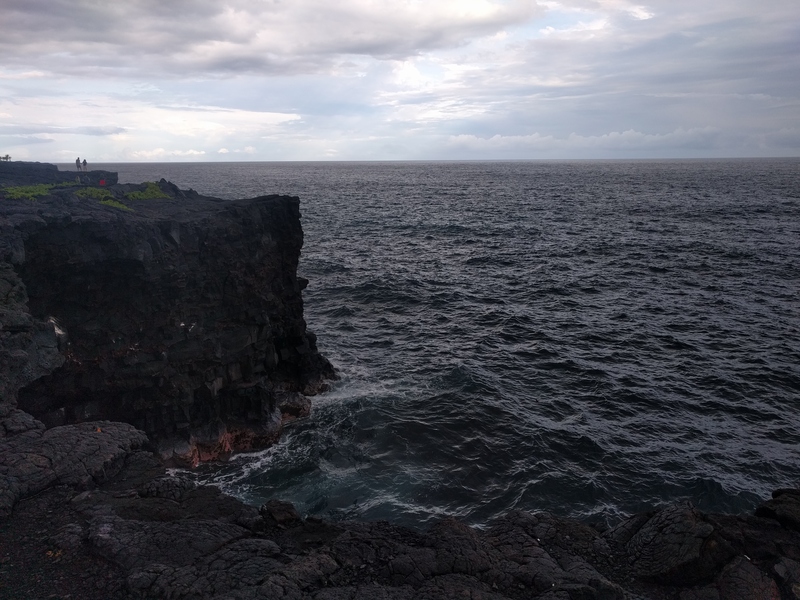 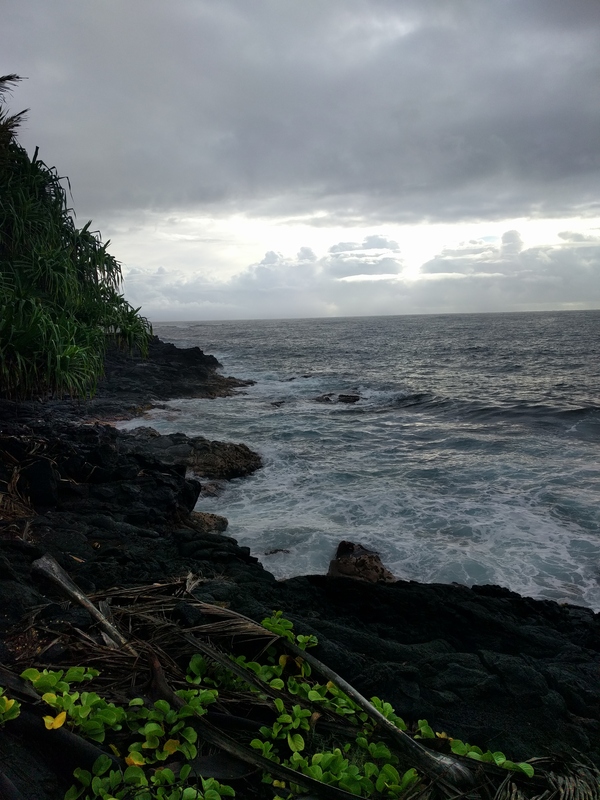 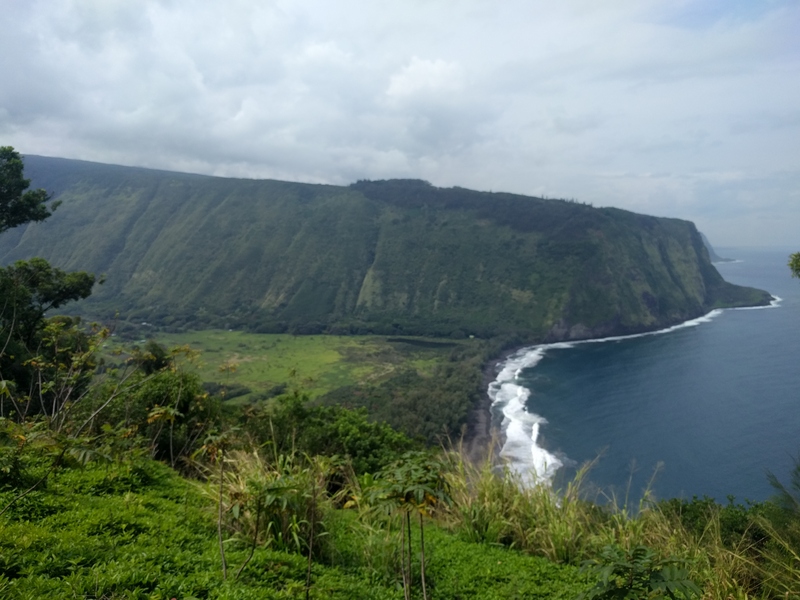 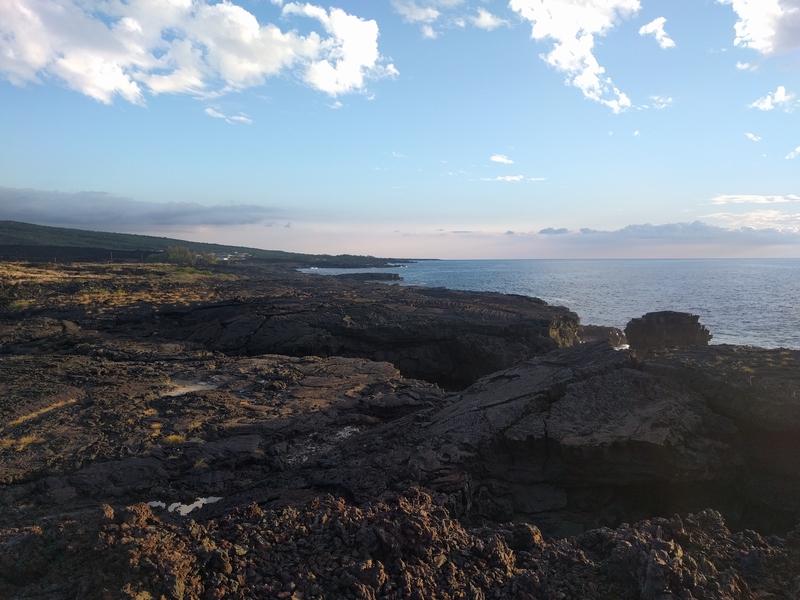 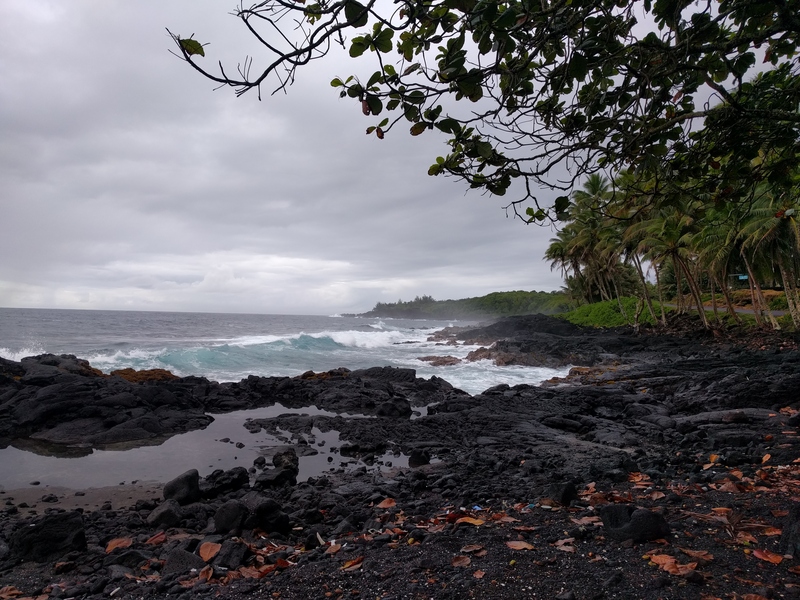 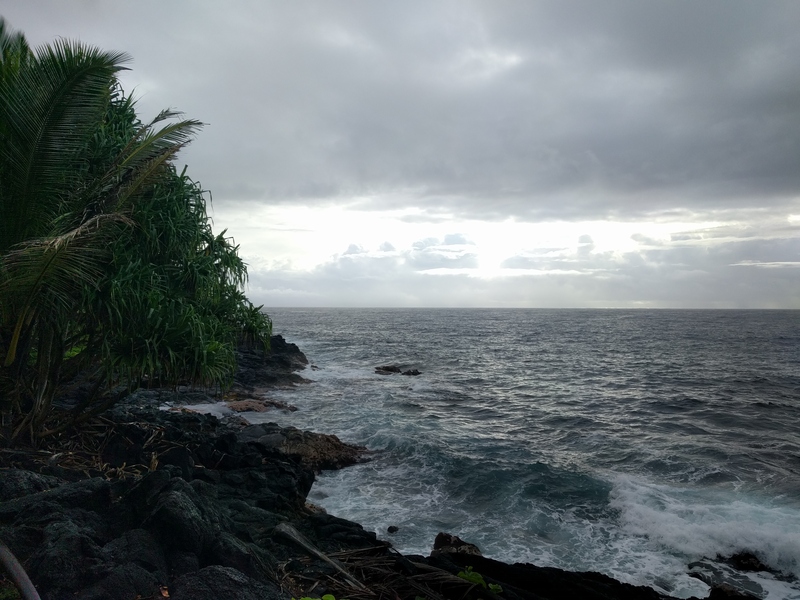 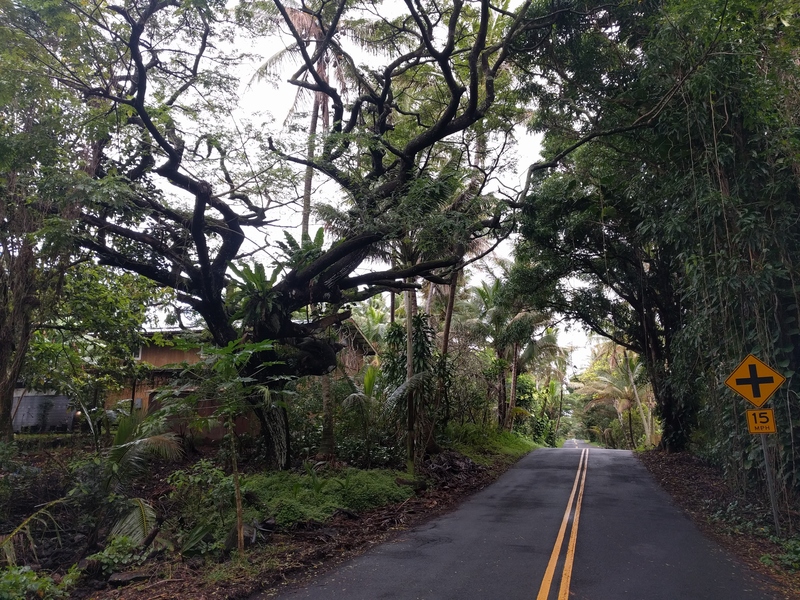 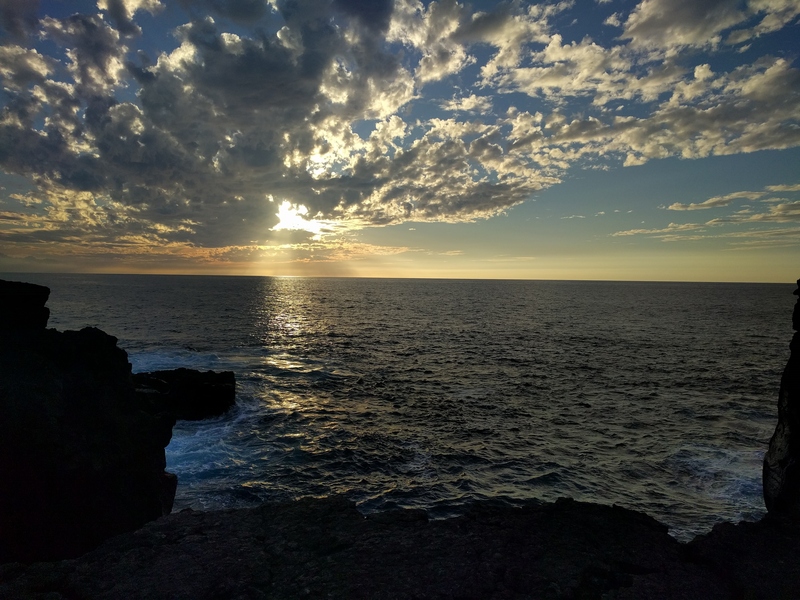 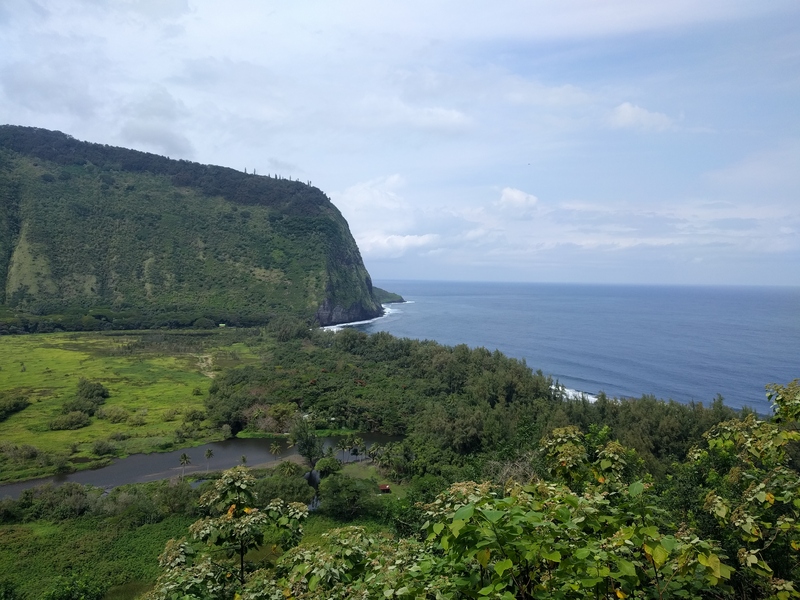 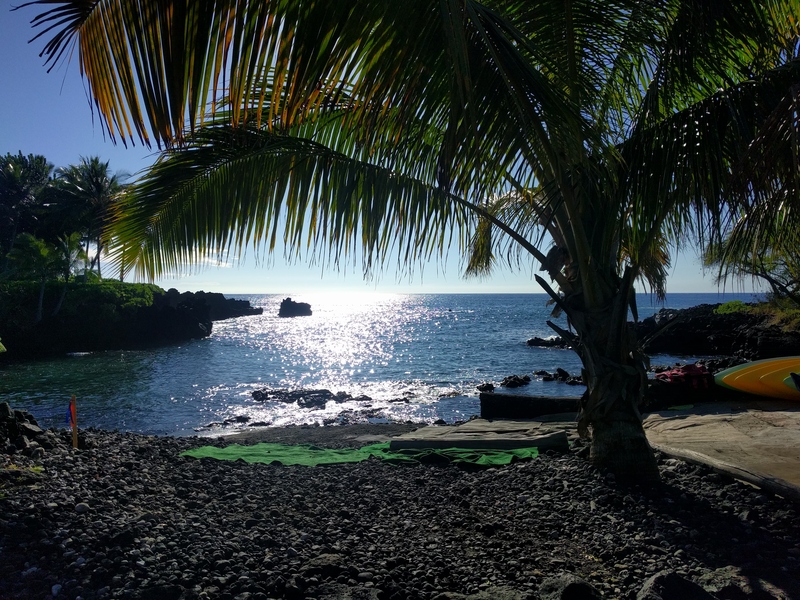 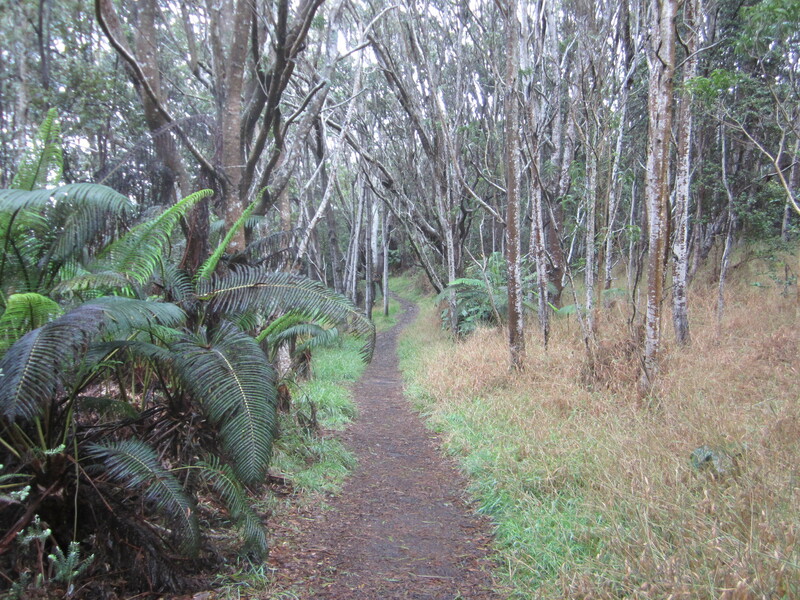 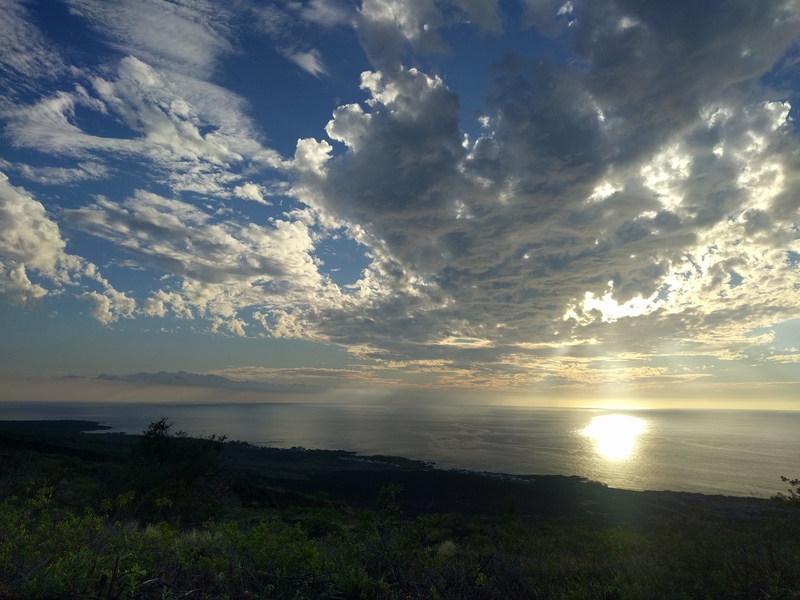 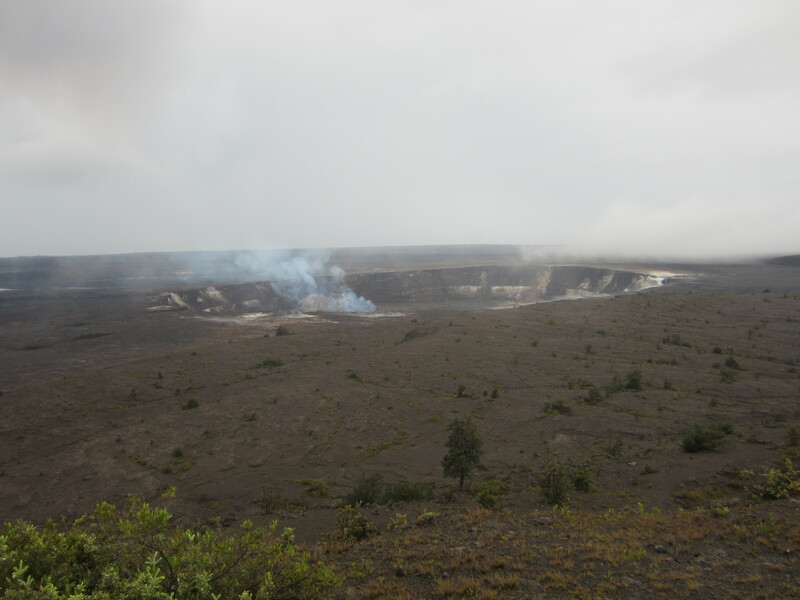 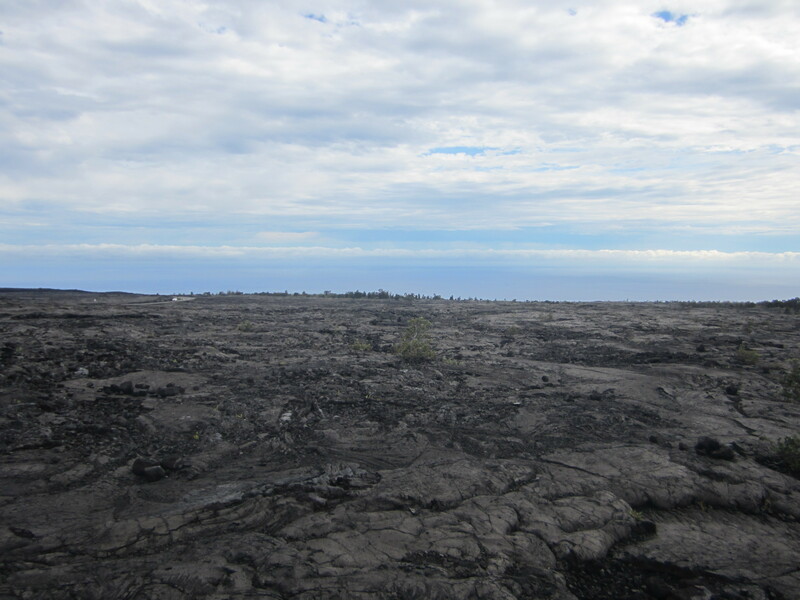 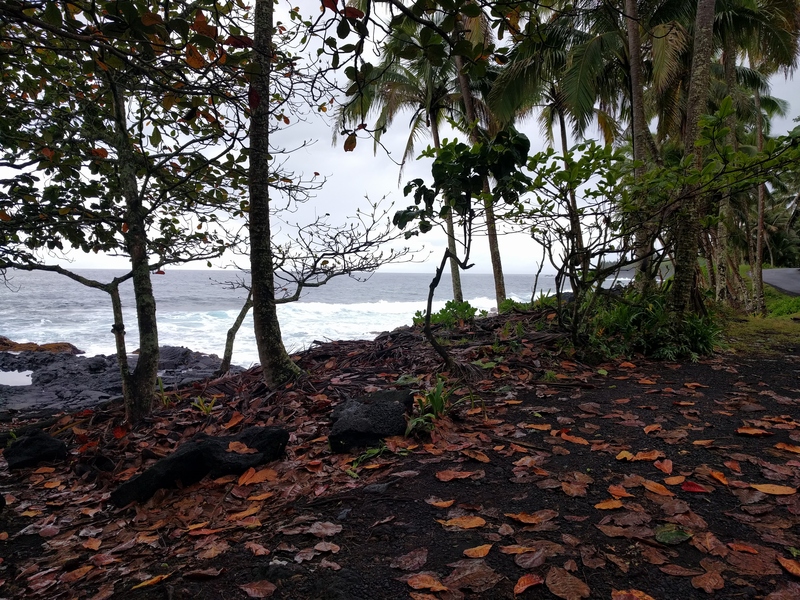 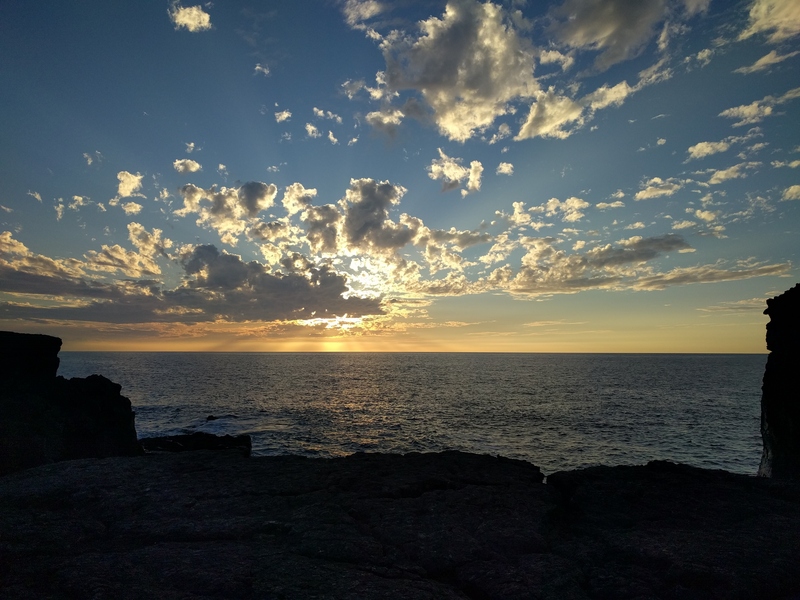 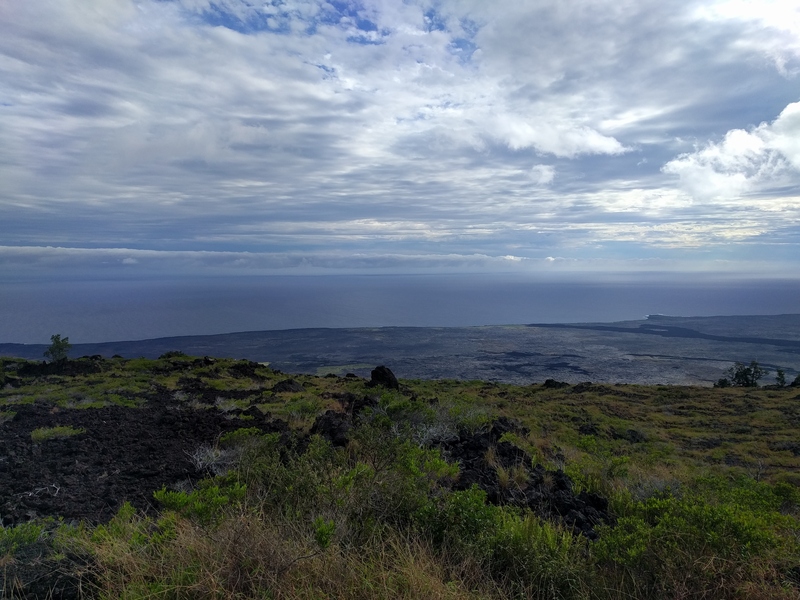 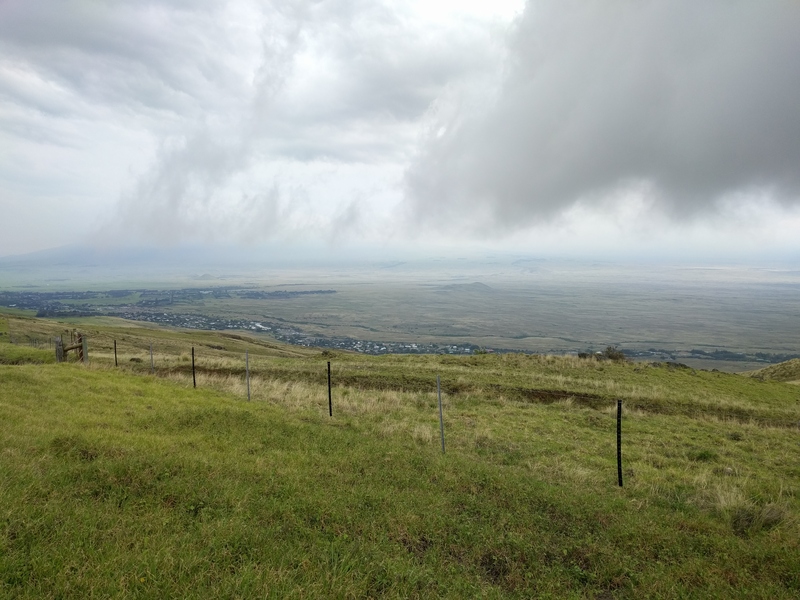 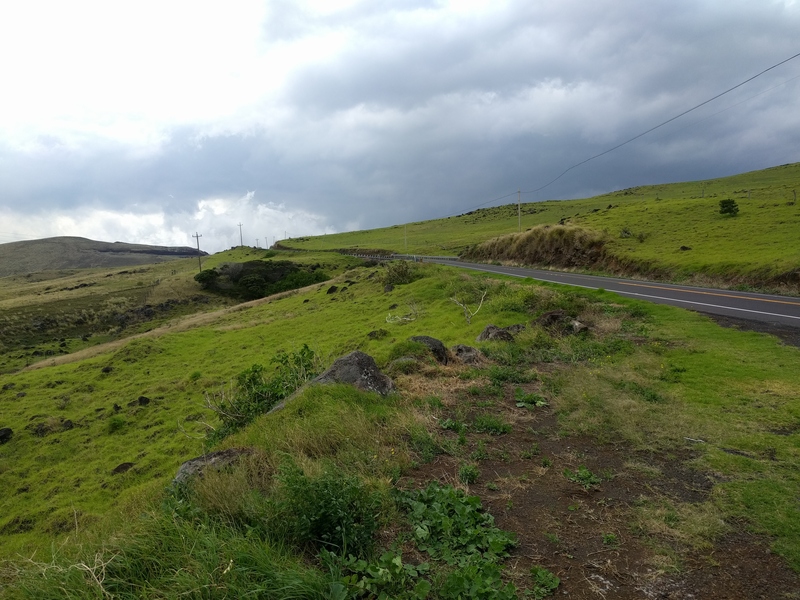 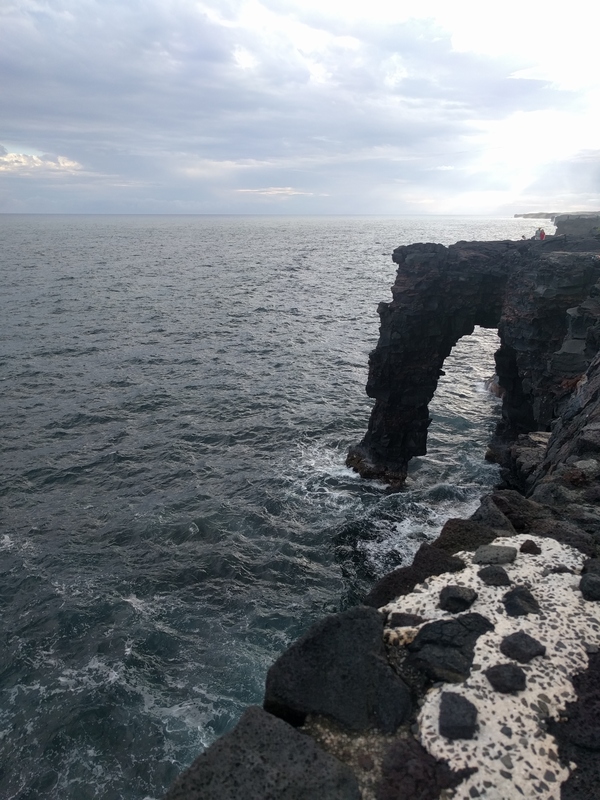 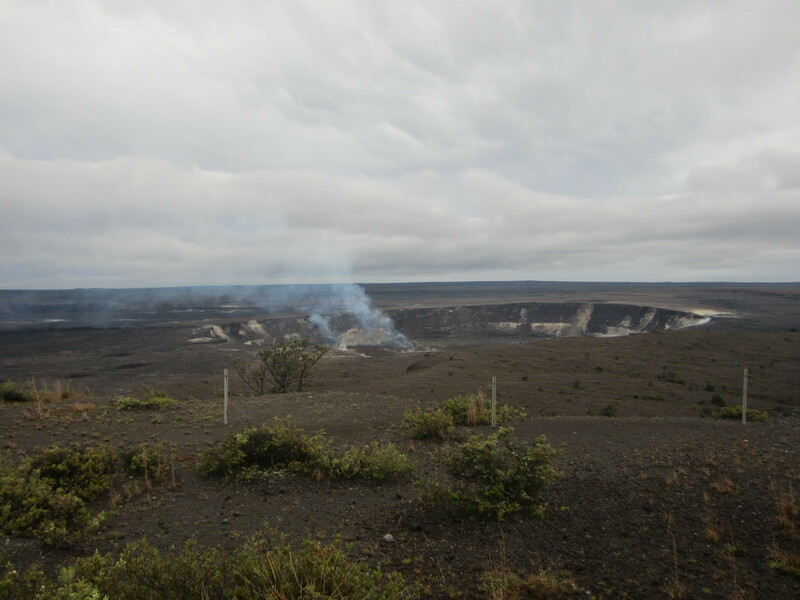 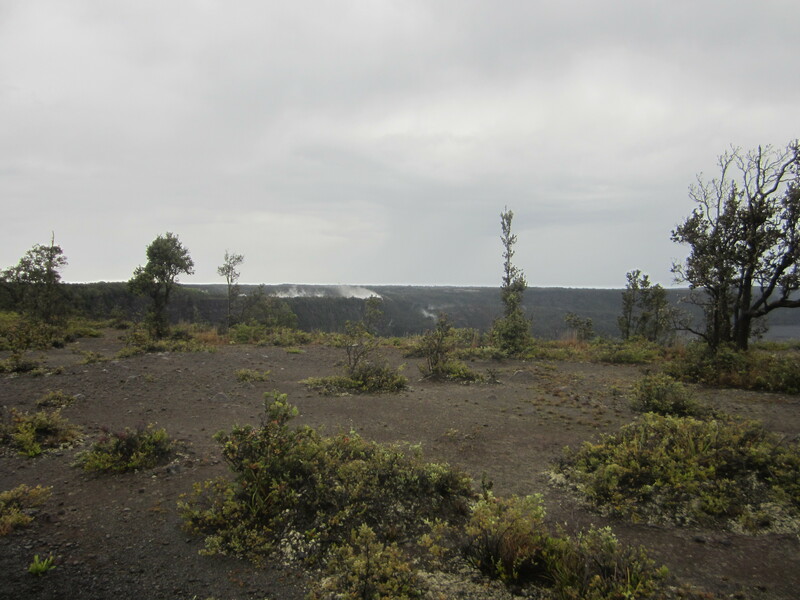 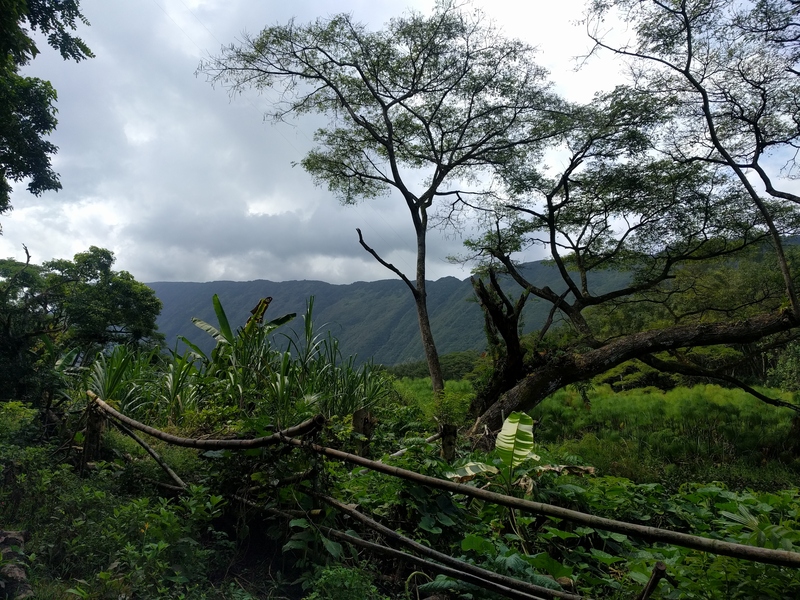 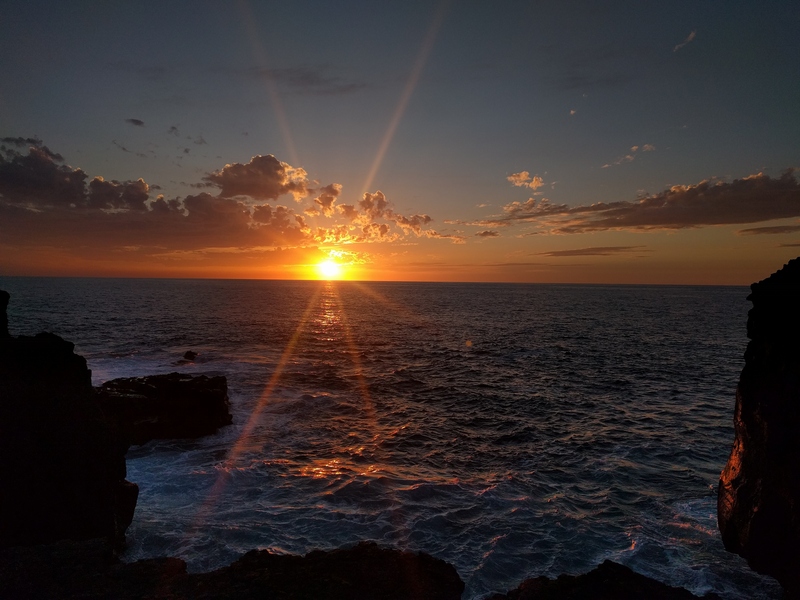 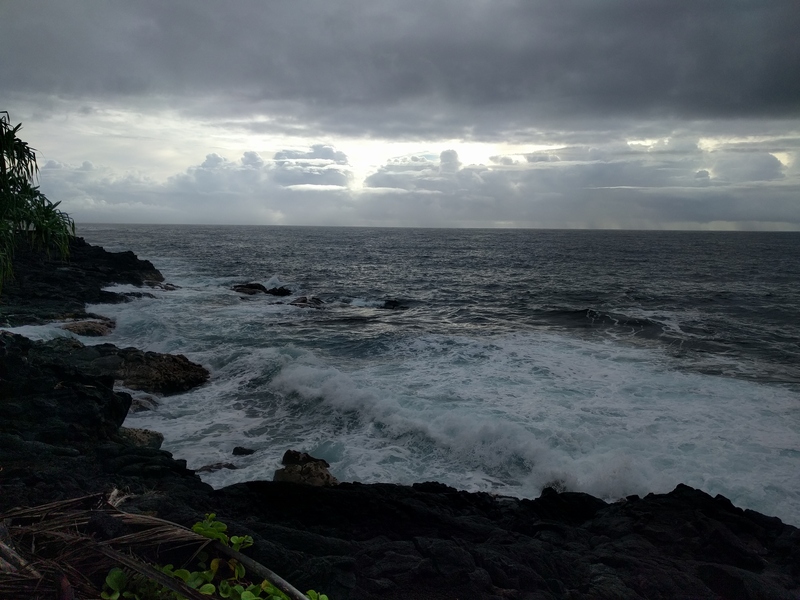 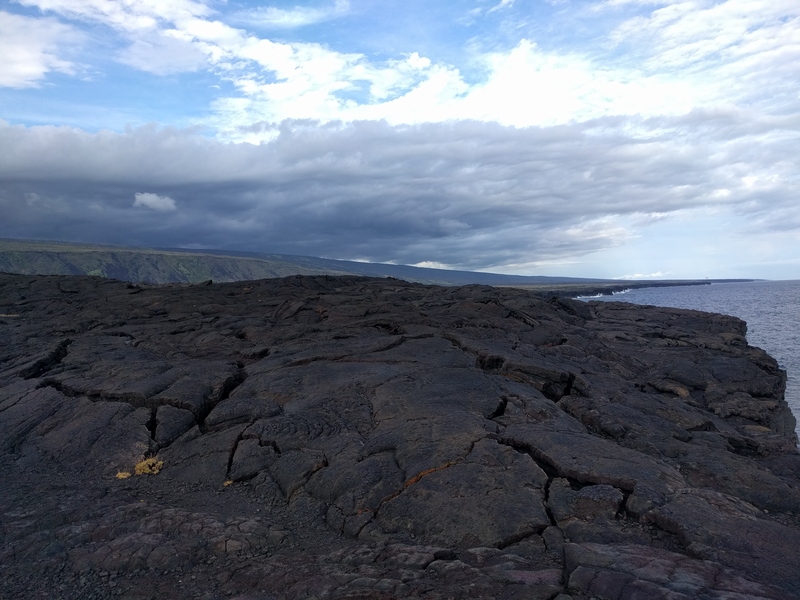 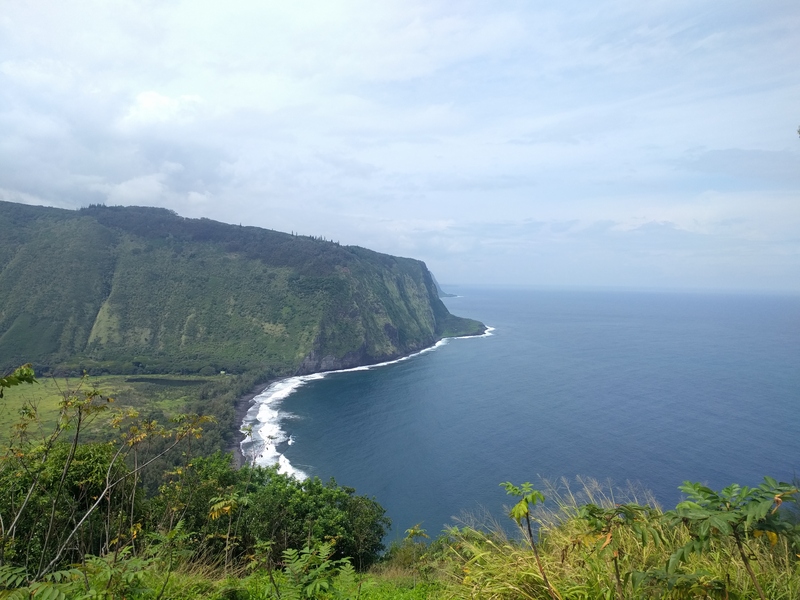 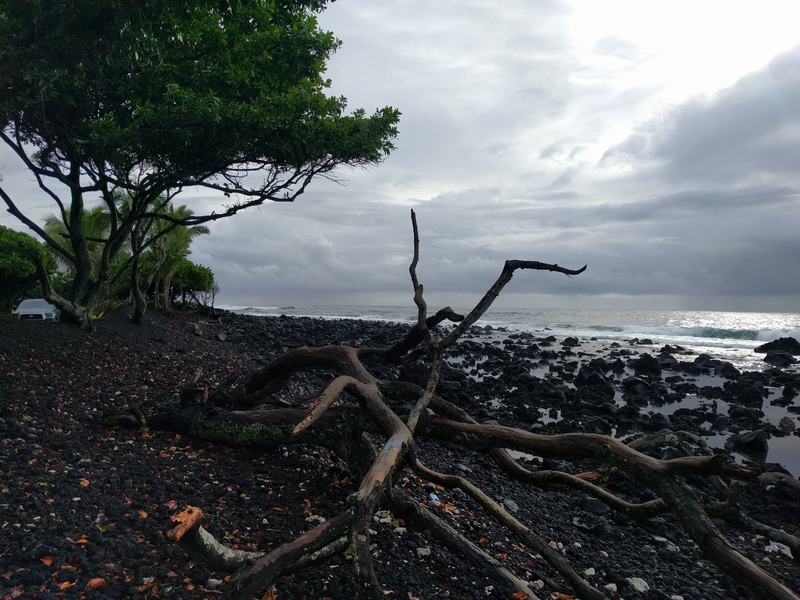 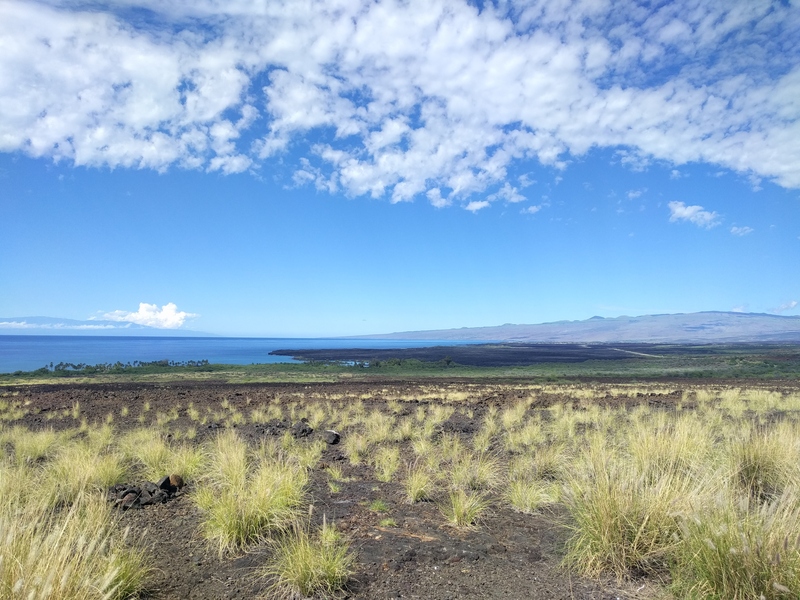 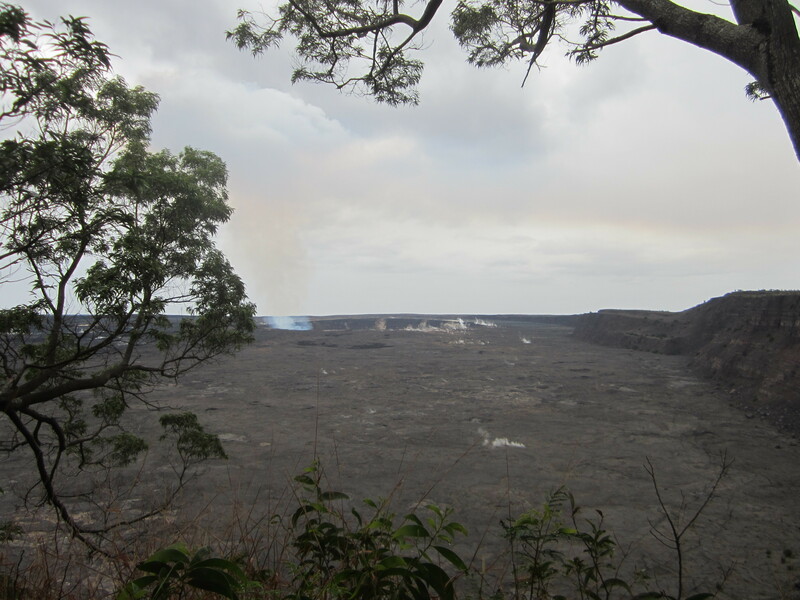 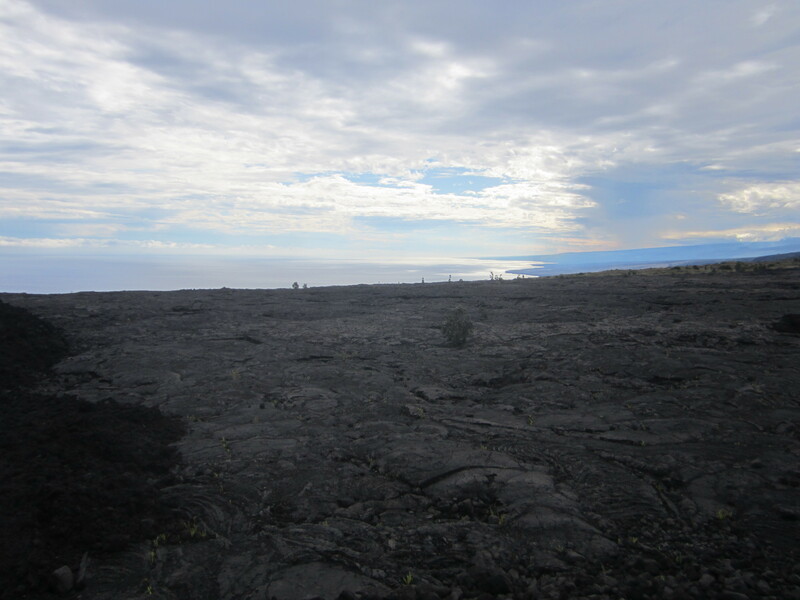 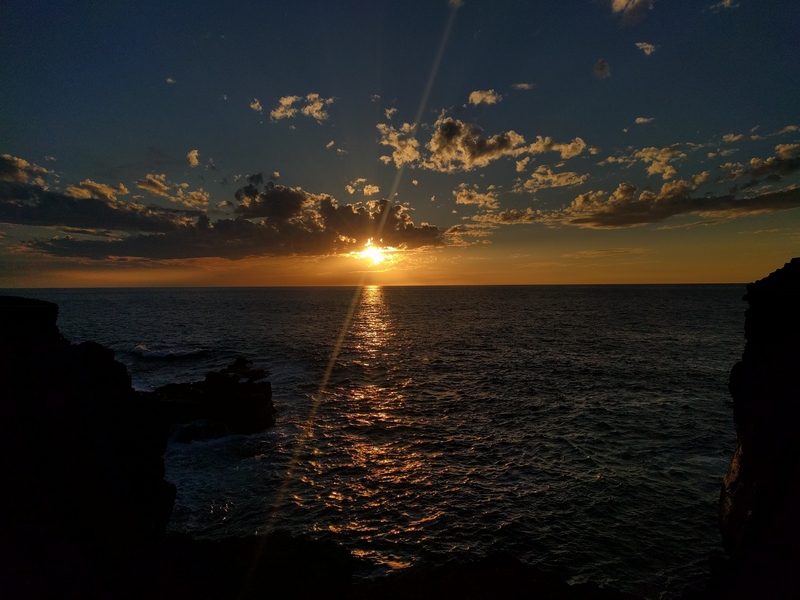 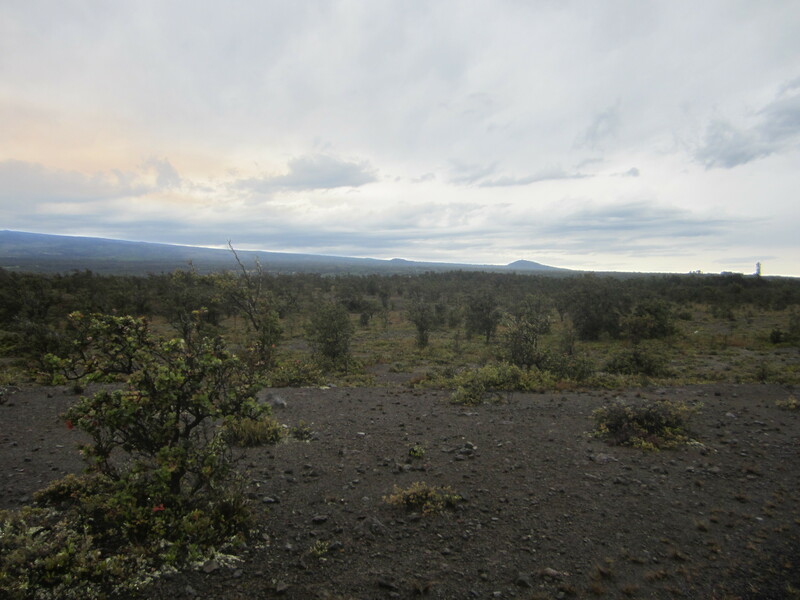 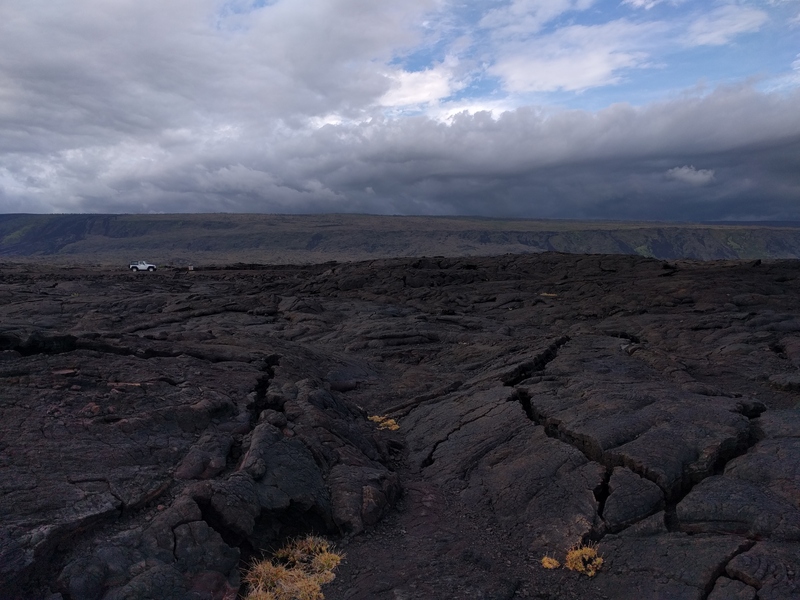 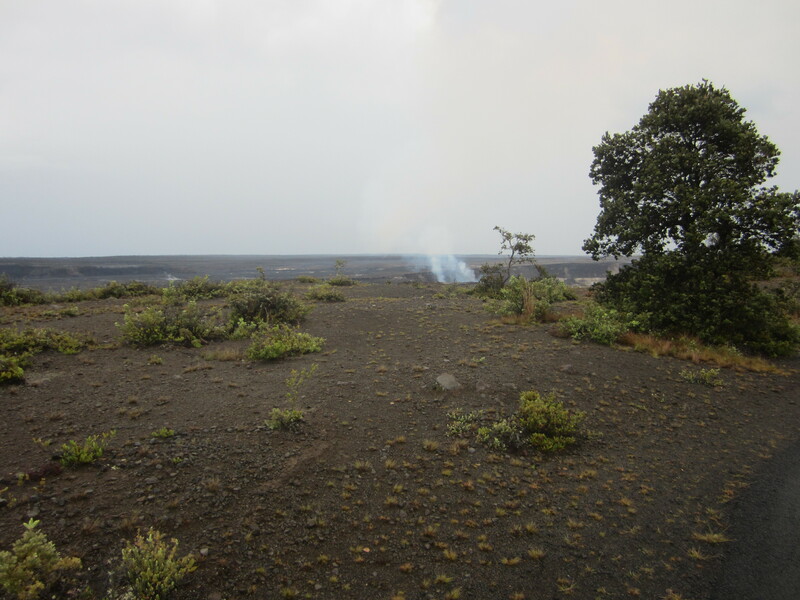 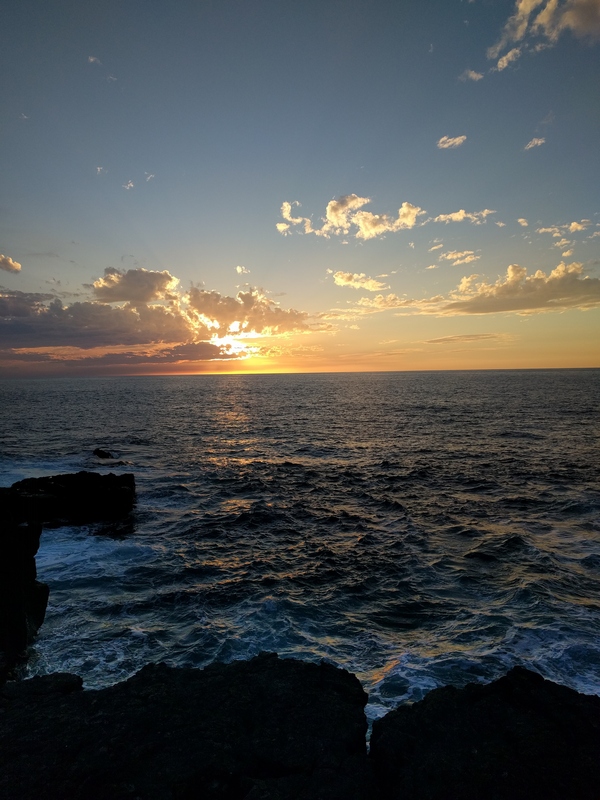 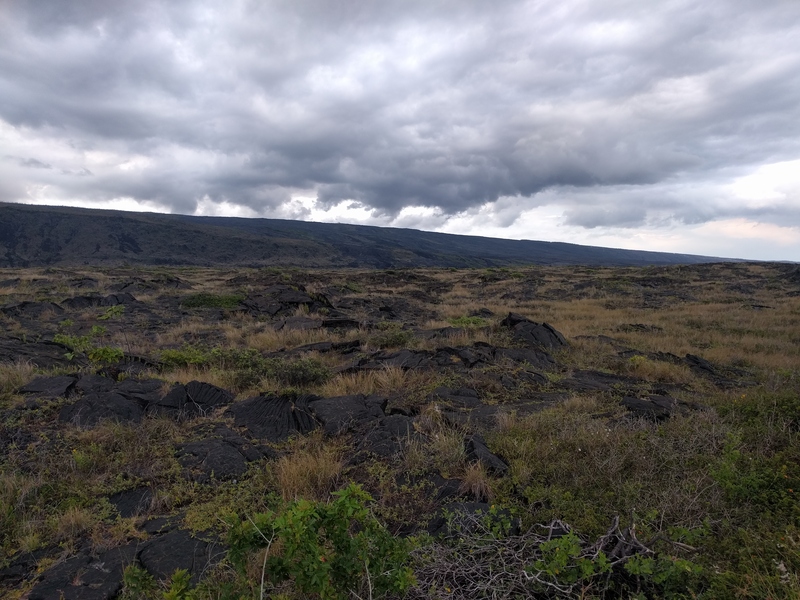 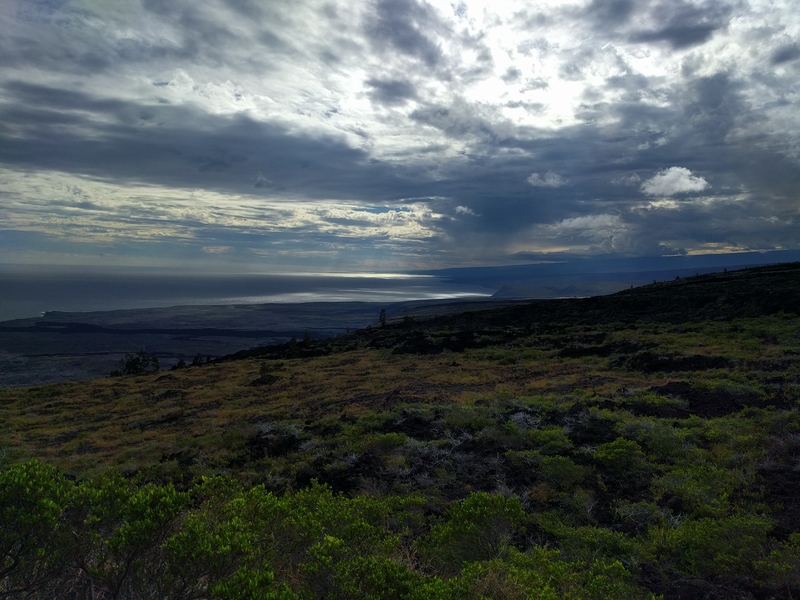 Nonetheless, this area was extraordinary and offers a view over most of the south part of the Big Island.